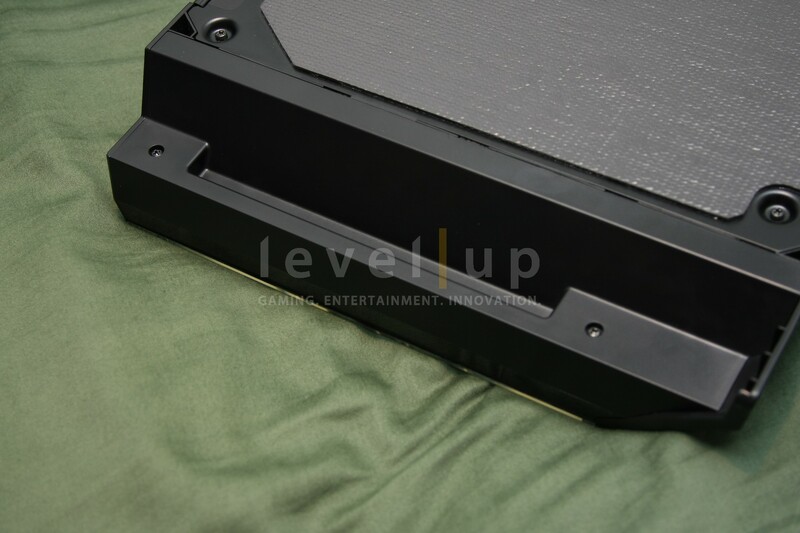 The console peripheral is one of the most produced items in the gaming market. 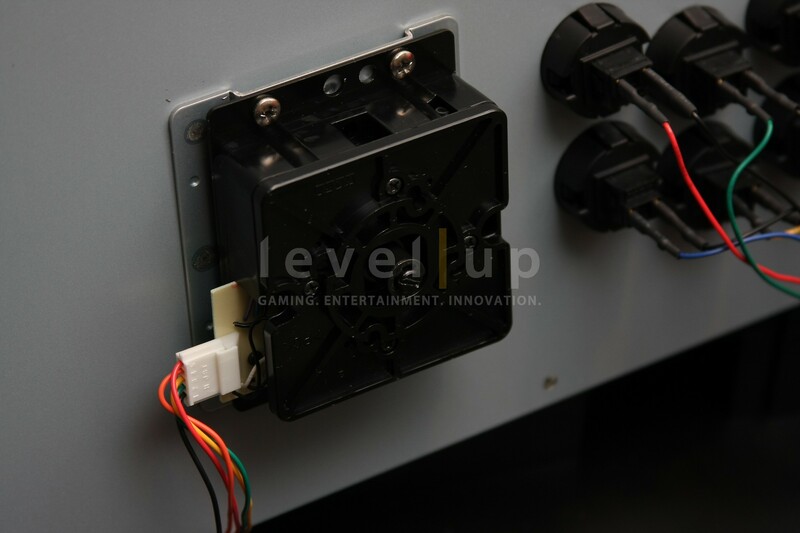 Whether you step into a store or browse online, you are bombarded with a vast array of devices for your gaming platform. 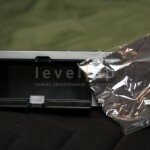 To make it even worse, there are multiple companies releasing peripherals that perform the same fundamental function. So how would one choose? Price? Aesthetics? Functionality? Coolness factor? How about all of the above. 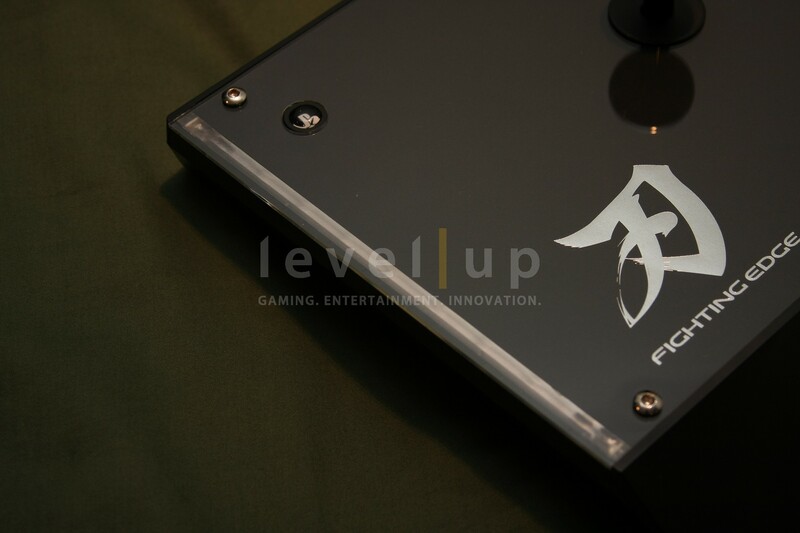 Only months after releasing their Soul Calibur V stick, HORI is back with another gem that is making heads turn more than once. 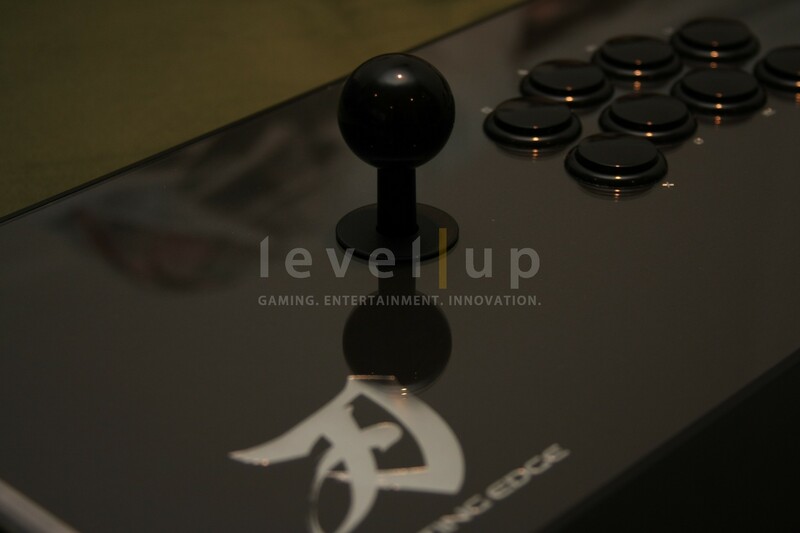 Inspired by the Japanese sword (Yaiba), HORI adds to their premium line of sticks with the release of the Fighting Edge. You have seen the pictures and have watched the unveiling on Wednesday Night Fights. 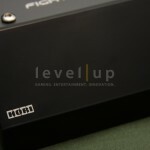 It’s time to take a more in-depth look at HORI’s latest offering. Note: Stay tuned for a robust video series which will serve as a supplement to this review. 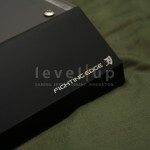 At the time of this writing, the final packaging and manual for the Fighting Edge have not been released. This portion of the review will be updated when the final product is released. Inspired Design: True to its name, the Fighting Edge is inspired by Yaiba, the Japanese sword. 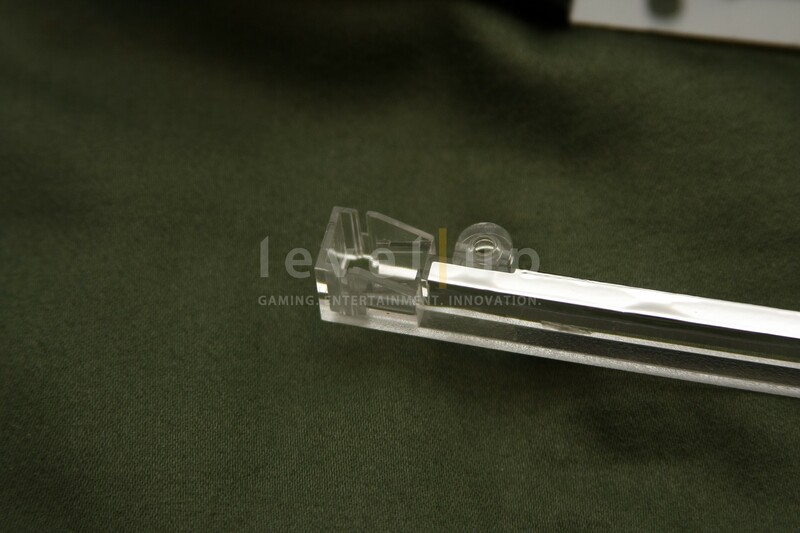 The overall design of the stick contains hard angles of varying degree. 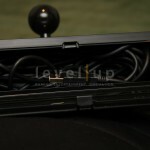 There are no rounded corners except for the two corners at the bottom of the palm/arm rest.As you flip through the pictures of this review, pay attention to the edges of the stick. You can definitely see the sword inspired design. Typically, square shaped sticks do not offer much in appeal because they are plain. 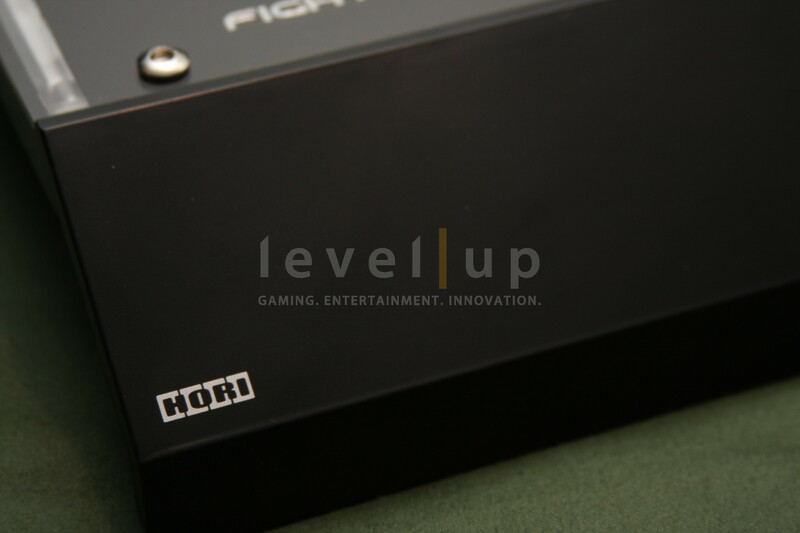 HORI avoids being plain by strategically designing angles into the case that attract your eye, no matter the direction you are looking from.Physical Dimensions: The Fighting Edge is a wide stick. 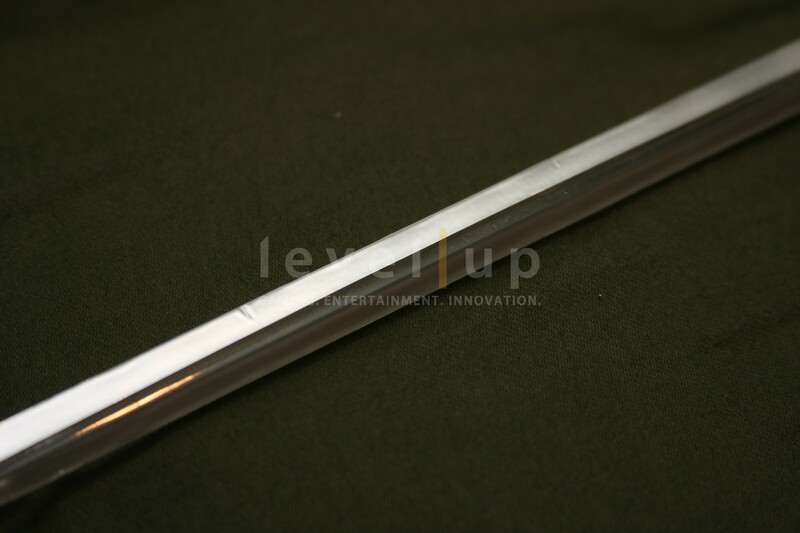 At 18.7 inches (475mm) in width, it possibly is the widest production stick out there. I am sure the bigger players out there will be grateful for the extra width. But given the extra width, it does sit a little lower than most sticks. 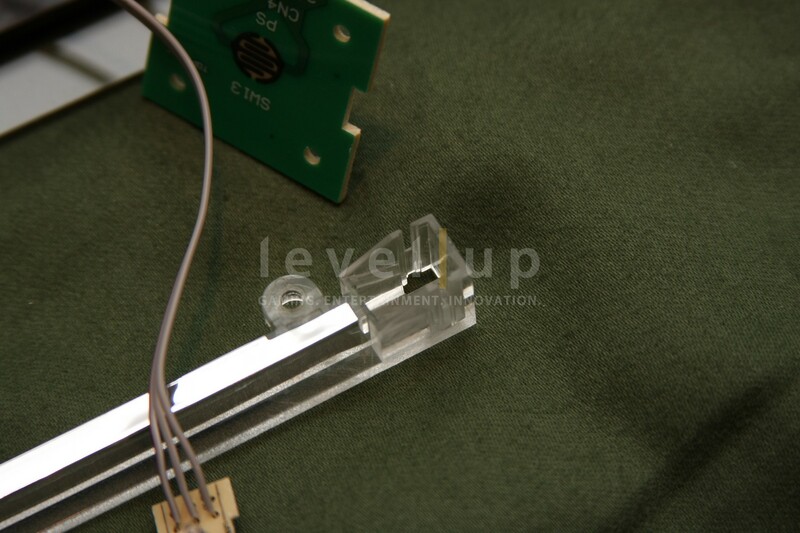 When compared to the Soul Calibur stick, it is 0.2 inches (5mm) shorter in height. 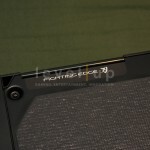 The length of the Fighting Edge is 11.2 inches (284mm). Weight: The Fighting Edge comes in at 7.7 pounds. 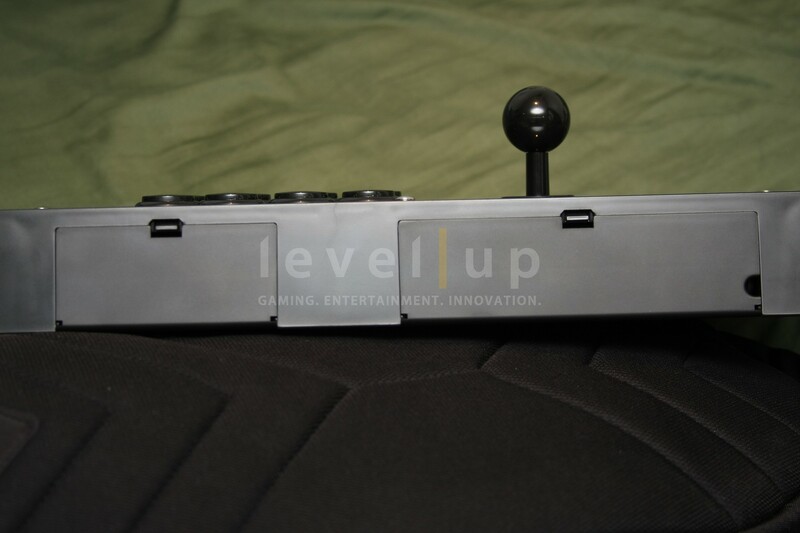 This is 1.3 pounds heavier than the Soul Calibur V stick. 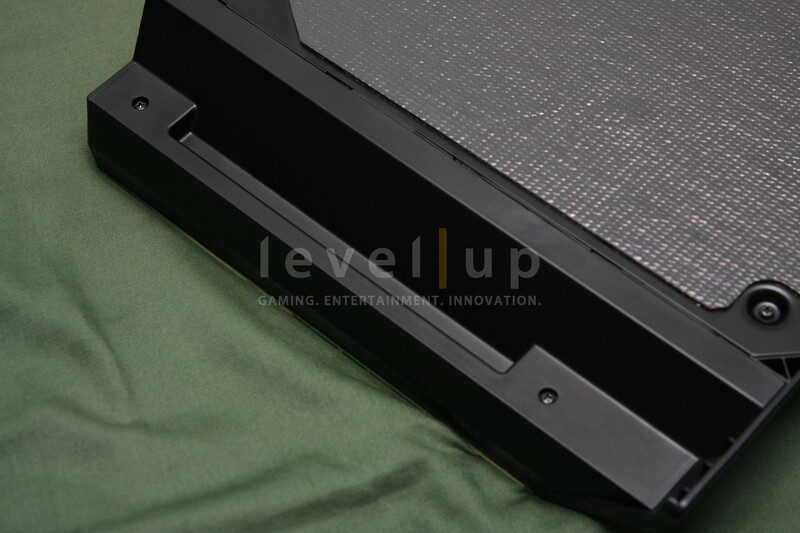 Combined with the anti-slip pad on the bottom panel, this stick won’t be moving as you mash during the most intense matches. Durability: When you first carry the stick in your hands, it’s hard not to notice how solid it feels. It feels very compact and nothing feels or looks cheaply made. 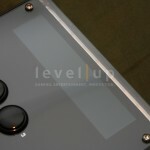 HORI definitely took more time to develop this stick. 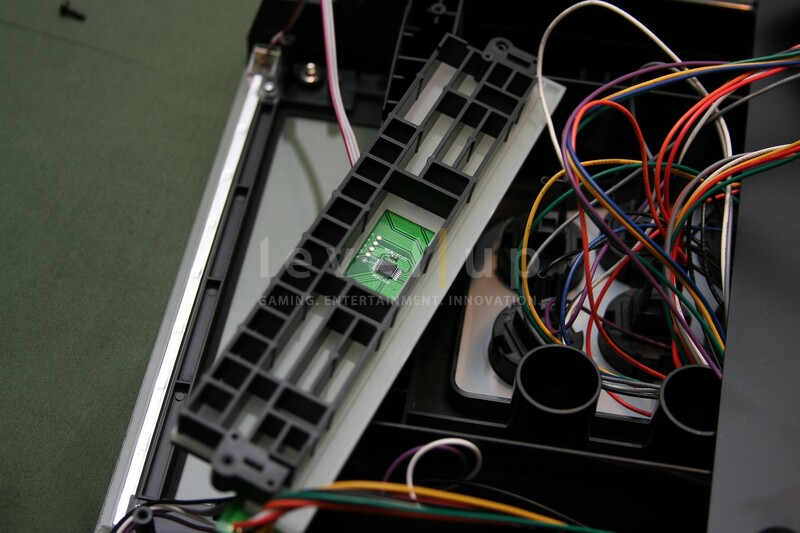 Stick Shell: As with all of HORI’s line of sticks, the shell is made of ABS plastic. ABS is definitely a tried and true material that stands up to the everyday beatings of any gamer. You won’t need to baby this stick. How It All Fits TogetherTop Panel: The top panel is secured into the shell by six 4mm bolts. Six bolt nuts are integrated into the shell to provide threads for the bolts to screw into. 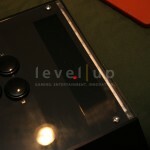 The top panel consists of three parts: a 2mm thick plexi panel, a black sheet of thick paper with the Yaiba and Fighting Edge logo, and the steel panel that holds the Hayabusa joystick and Kuro buttons.Bottom Steel Panel: The bottom panel is secured to the shell with six phillips screws. 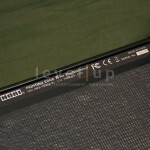 This panel is also made of steel and has an anti-slip pad instead of rubber feet. 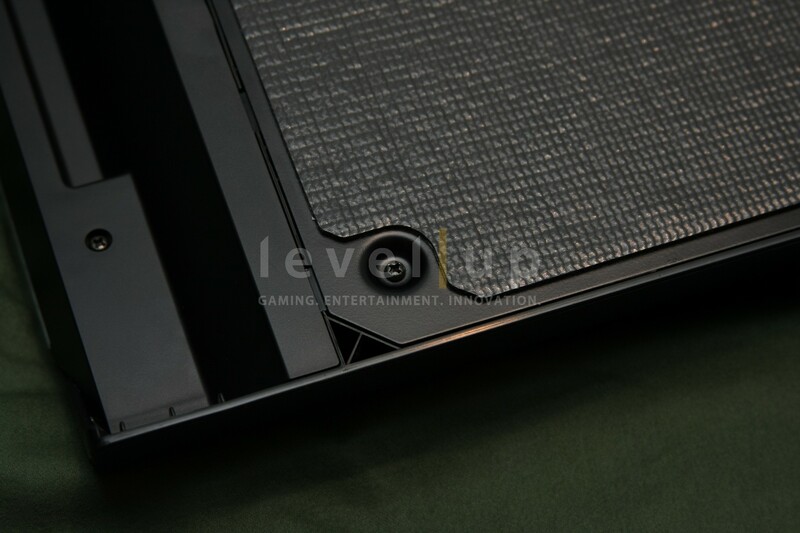 The pad is affixed to the panel with a strong adhesive that ensures it will not detach during heavy movement. 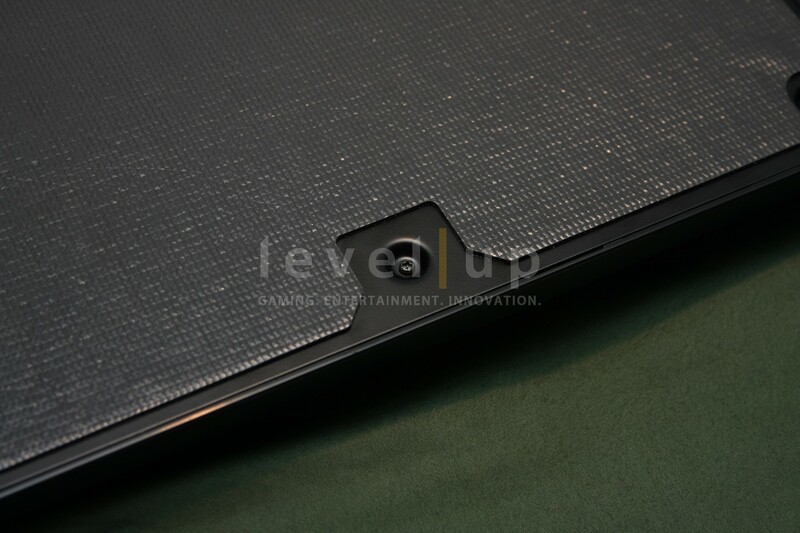 The pad is very similar to the drawer lining material often sold in hardware stores. I’ve used this material personally and vouch for its durability. However, gamers are often very brutal with their peripherals. 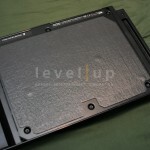 It will be interesting to see how the anti-slip pad will last over the years. 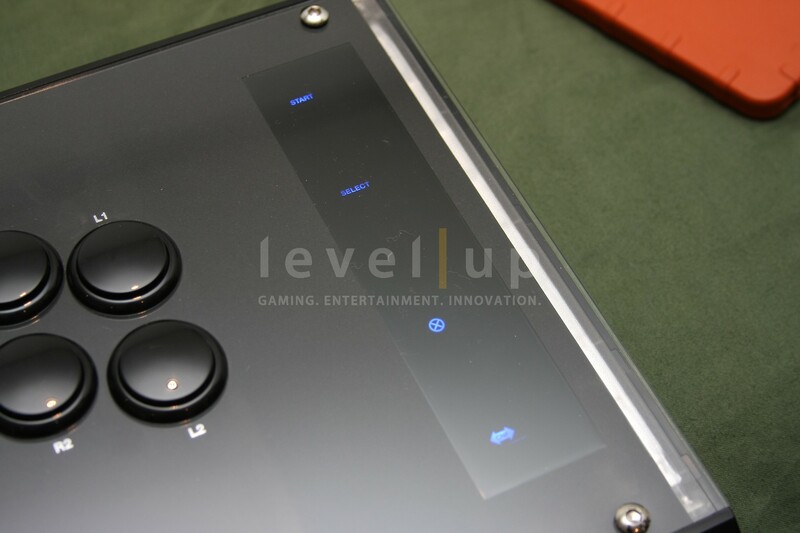 What Didn’t Make It: HORI took a different approach with the Fighting Edge and removed features that are never used in the tournament environment: Turbo, Left and Right Analog Stick buttons, and Left and Right Analog Stick support. 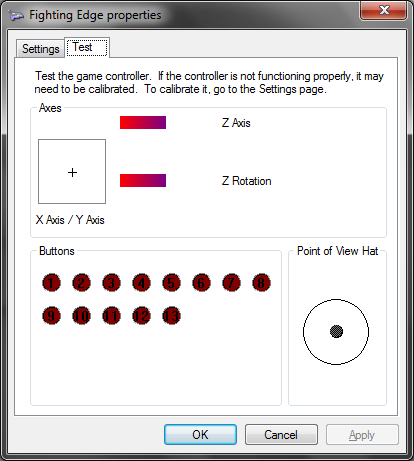 However, Left and Right Analog Stick buttons can be assigned to any of the buttons using the built in button configurator. More on that later.While some may find this a breaking point, I think HORI made the right decision. In all honesty, how often do you really use these features? This is a no frills stick. This one was made for serious competition. 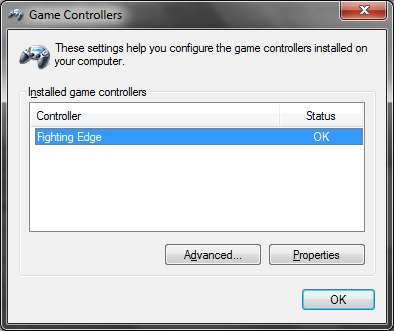 PC Compatibility: The Fighting Edge has Windows support right out of the box. 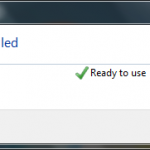 Simply plug it in, let Windows do its thing and soon enough, you have a functional PC stick. 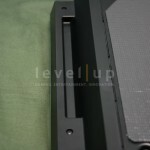 Both the PS3 and Xbox versions are officially licensed products so there should be no issue with either working on a PC. Mac compatibility not tested. USB Cable: The USB cable is 9.8 feet in length and has a gold plated USB connector. 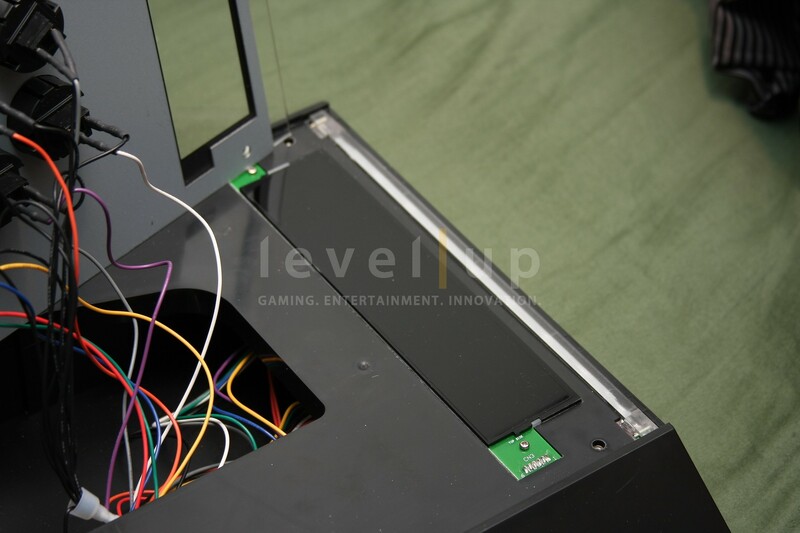 Nice touch.Storage CompartmentsUSB Cable Storage: This compartment is the standard sized one found on many of HORI’s latest offerings. It fits the USB cable nicely but only when the cable is not in a jumbled mess. This is a flaw in the design of the compartment. There is absolutely no leeway to easily stuff your cable inside. 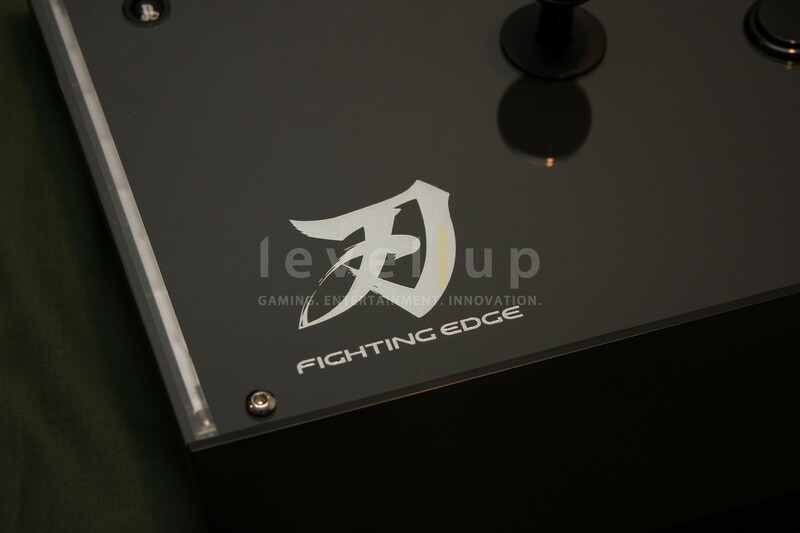 Extra Compartment: The Fighting Edge comes with a complimentary microfiber cloth to clean the surface of the stick. This cloth is found inside the extra compartment. This extra space can ideally be used for extra parts like buttons, ball tops, tools, and whatever you choose to put inside. However, this compartment is not lined with any padding. Expect your extra parts to rattle and make some noise. 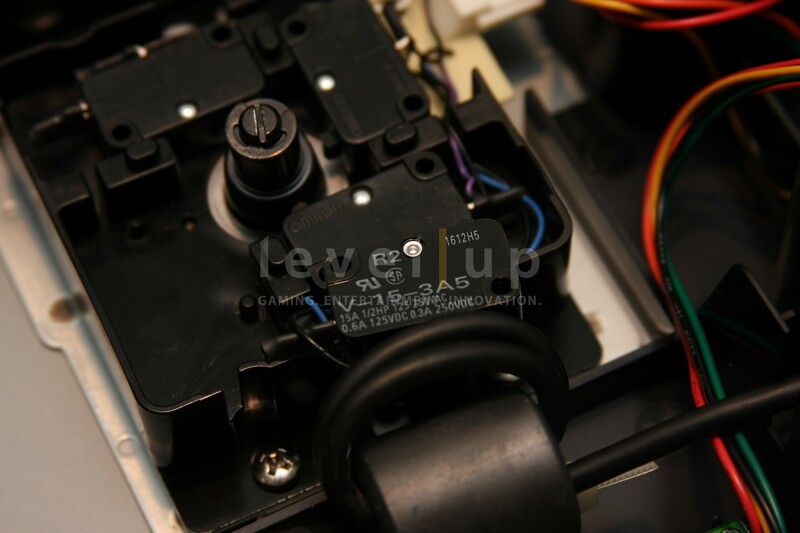 Hayabusa Joystick: In the past, HORI has been known to use their own branded parts in their economy line of sticks. 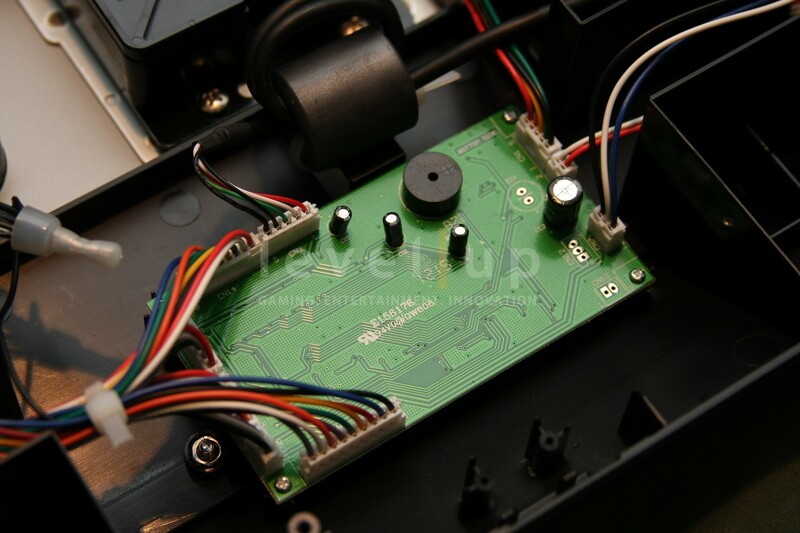 Stick enthusiasts have always criticised the weak performance of HORI’s stock parts. It may be time to shove those criticisms aside.After years of research and development, HORI has finally released a joystick that can compete with Sanwa and Seimitsu. 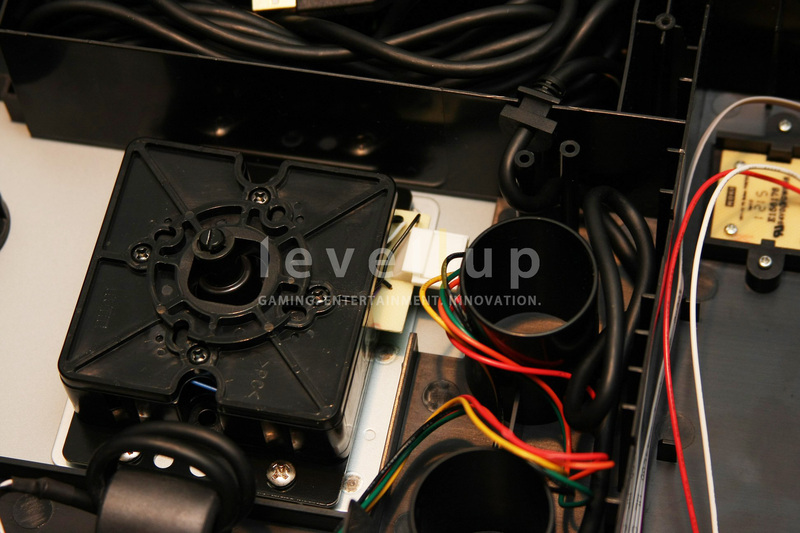 HORI innovates the joystick by implementing what they call the V Cut Cam Housing Structure. 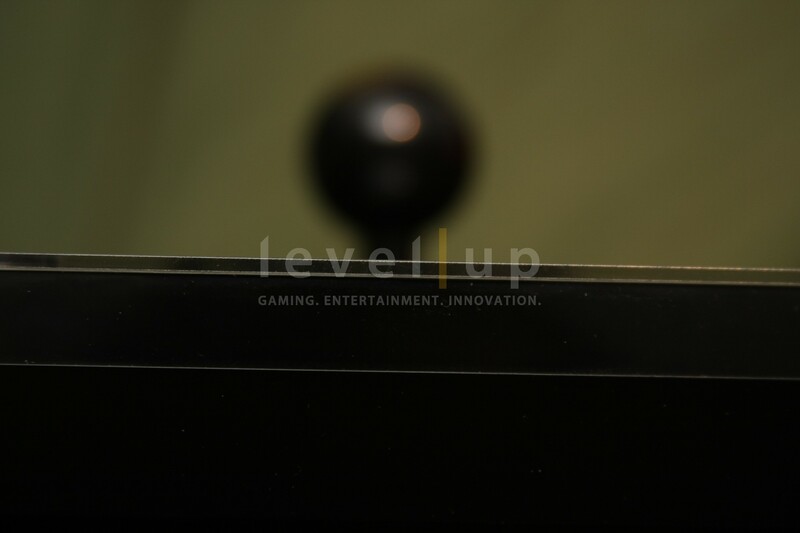 The details of the Hayabusa can be seen in the picture below.From a player perspective, the Hayabusa is snappy and very responsive. It doesn’t have that mushy feeling that the Sanwa JLF does. 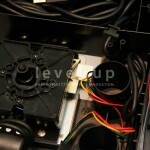 There is very little movement when the joystick is over extended in any direction. This is a big plus in my opinion. 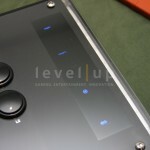 The Hayabusa is definitely a gigantic improvement over any of HORI’s stock joysticks. You can’t go wrong with either a JLF or Hayabusa but if I had to choose one, I will go with the Hayabusa. 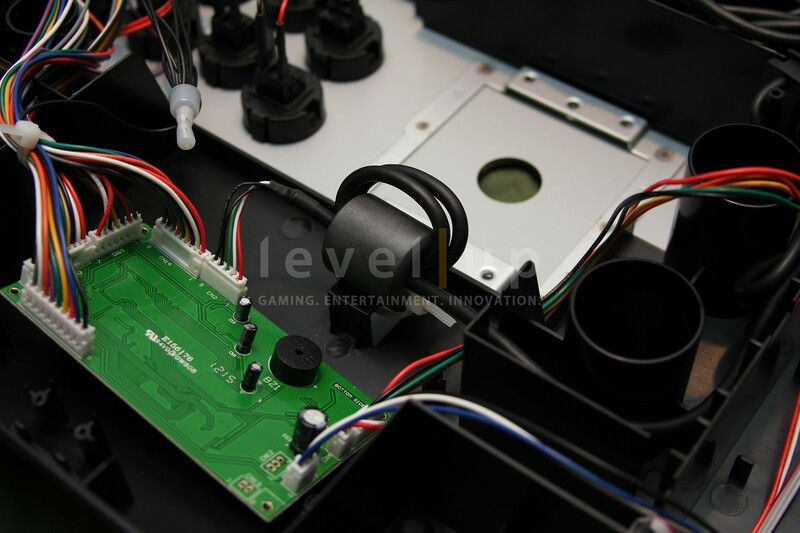 The precision, response, and softer feel are the result of HORI’s new microswitch used in the button. The other new features are a result of the new housing and plunger. This is something that needs to be tested in the long run. 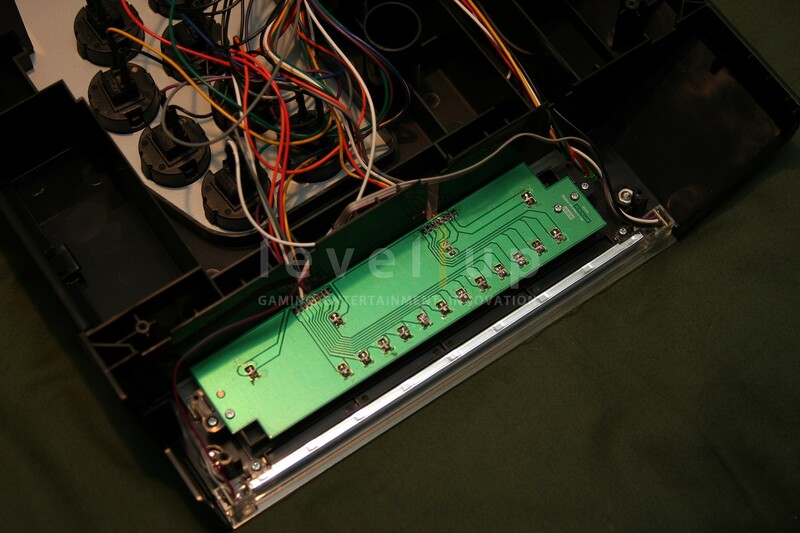 The buttons do look to be better built than HORI’s previous offerings of buttons though. There is definitely a tighter tolerance that can be seen. There is very little wiggle in the buttons. I completely agree. No matter where or how the button is pushed, you will get a response right away. 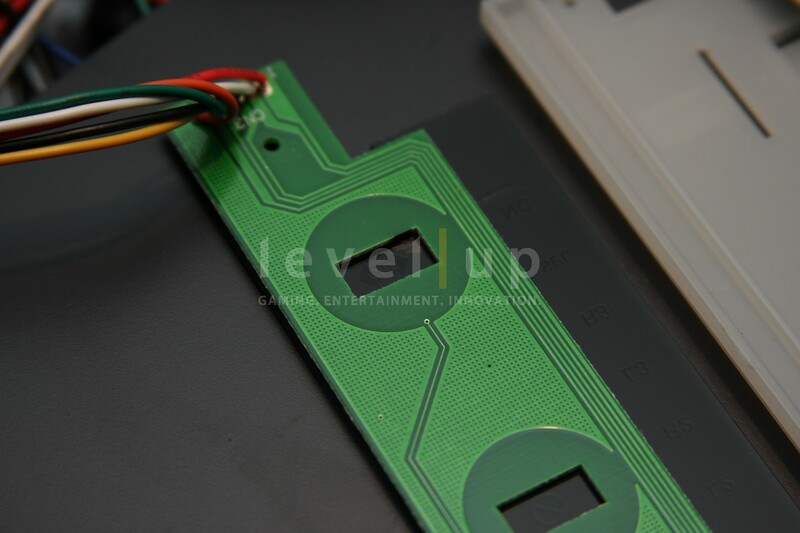 The buttons do have a soft feel to them after being pressed but as a result, they are stiffer than Sanwa’s line of buttons. 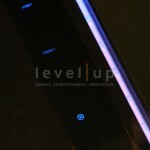 LED Lights: This is a definite first in any production stick. 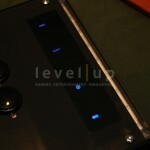 To add a little flair to the minimalistic style of the Fighting Edge, HORI has added in two blue side LED lights. Think the LED fun stops there? Nope. 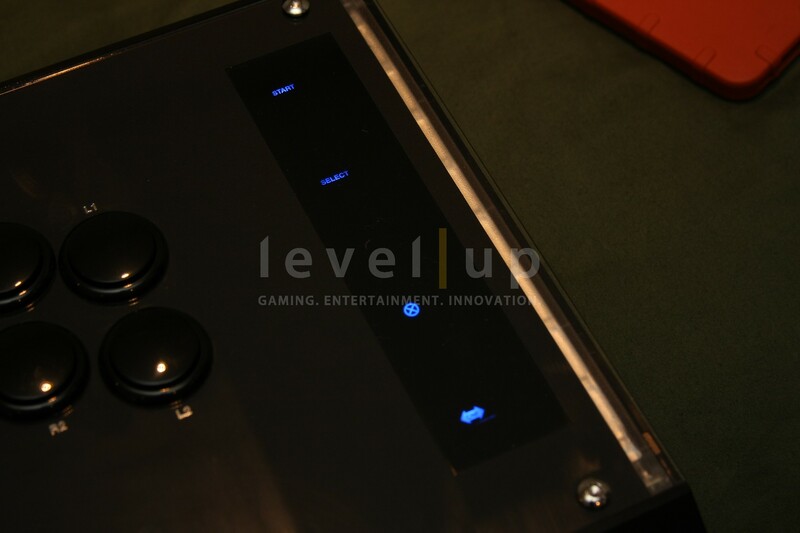 If the game you are playing supports vibration feedback, the Fighting Edge will translate this feedback by turning the LED lights red! How cool is that? 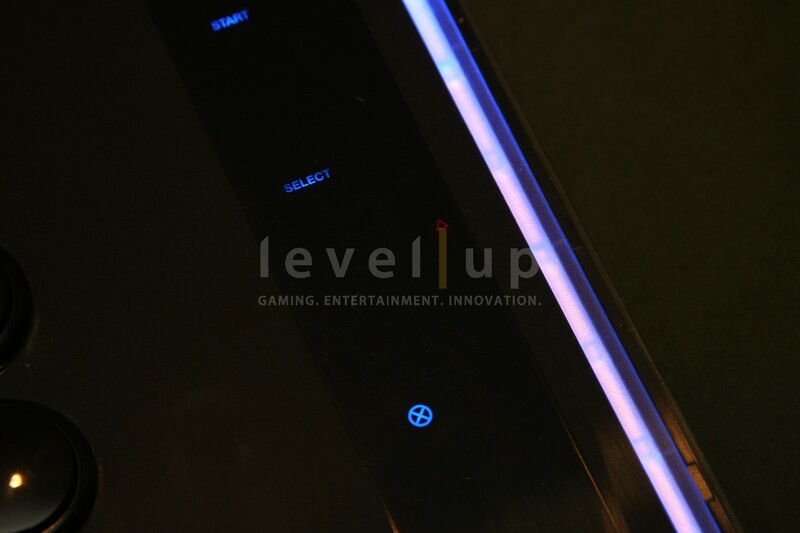 Tournament Mode (TM): For those that flipped out and were concerned about accidentally touching the Touch Panel during gameplay, HORI answers this concern with Tournament Mode.In Normal Mode, all four touch sensors are lit blue. 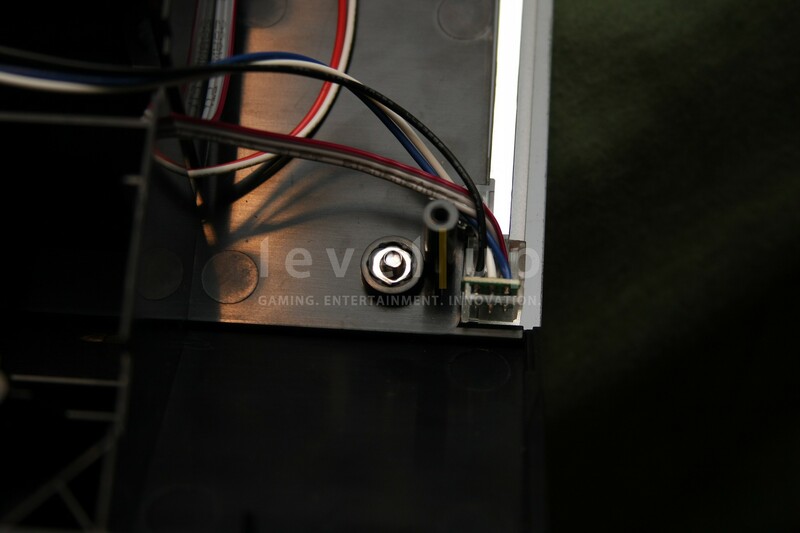 In Tournament Mode, all touch sensors are off (except the TM sensor) and the TM sensor is lit red. 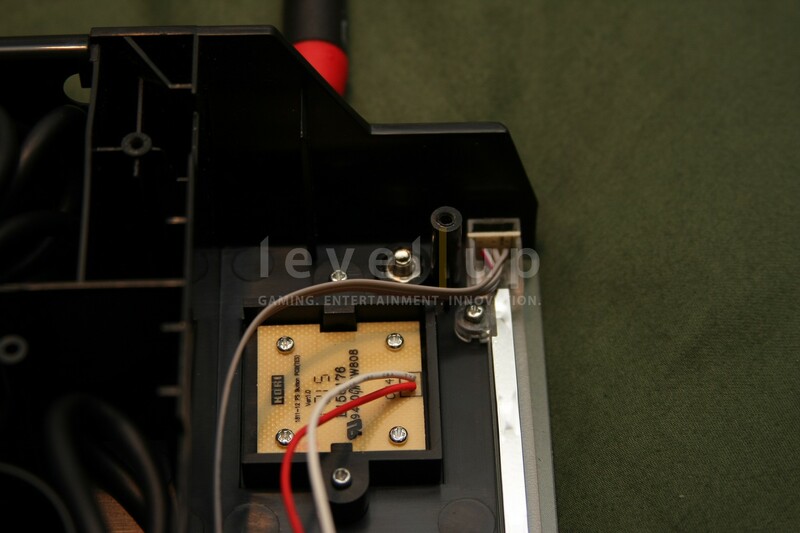 The TM sensor also doubles as the ON/OFF switch for the LED lights. 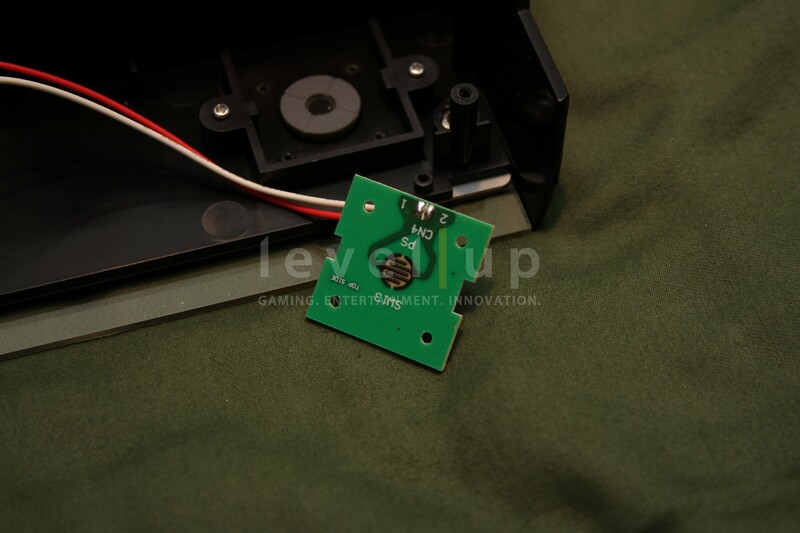 Below is the basic functionality of this sensor. Configuration Mode (CNF): This is a unique feature only found on the Fighting Edge stick. 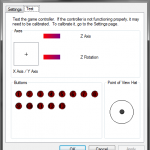 This mode lets you configure your buttons without the use of the in-game configuration menu. And the best part? 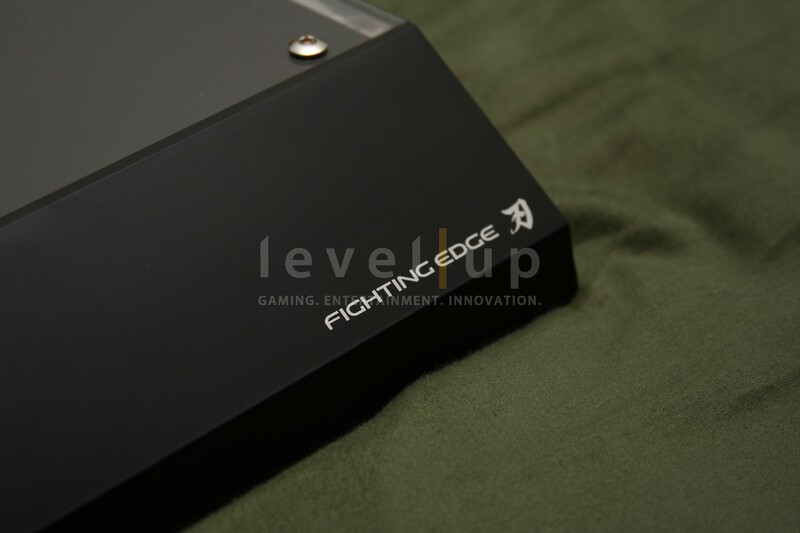 The Fighting Edge remembers your configuration even after you unplug the stick from the console or PC. 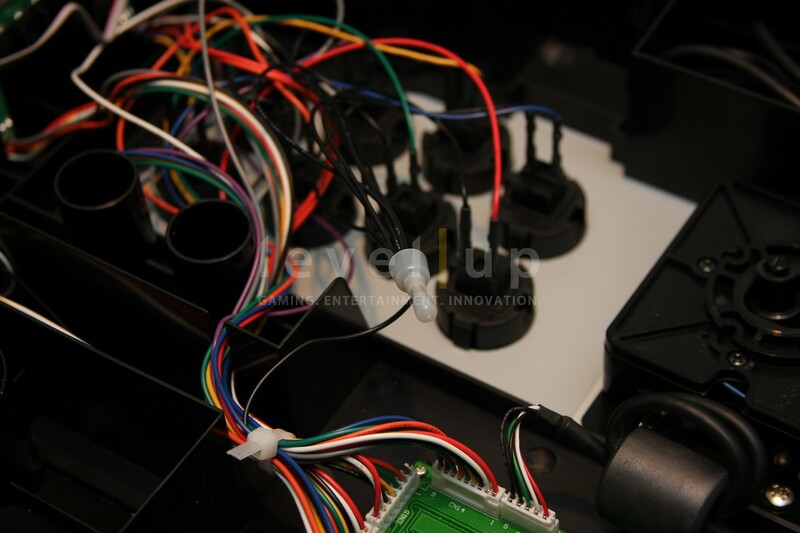 To reset all mappings to default, touch the Start and Select sensors at the same time when in Configuration Mode. There is no visual or audio indication that you have resetted the mappings back to default. A double or triple beep would have been nice. 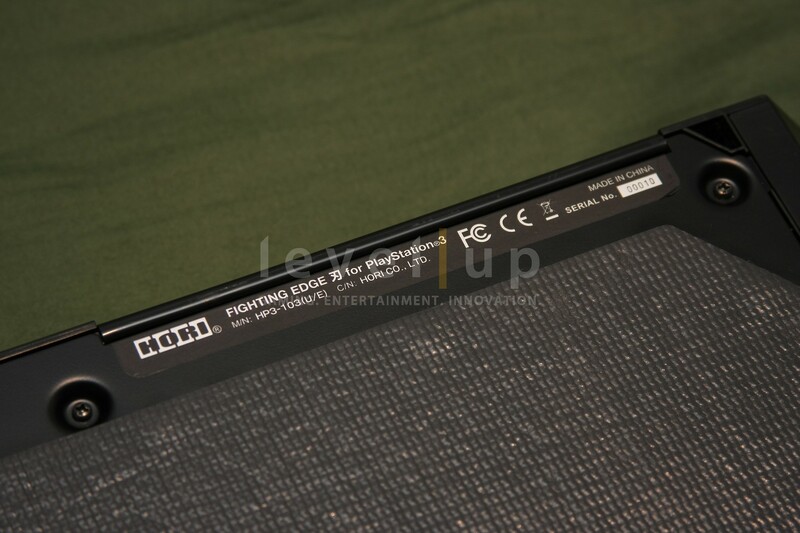 Anti-Slip Pad: As previously discussed, HORI skips on the rubber feet and opts for a solution that covers a larger real estate on the bottom panel. 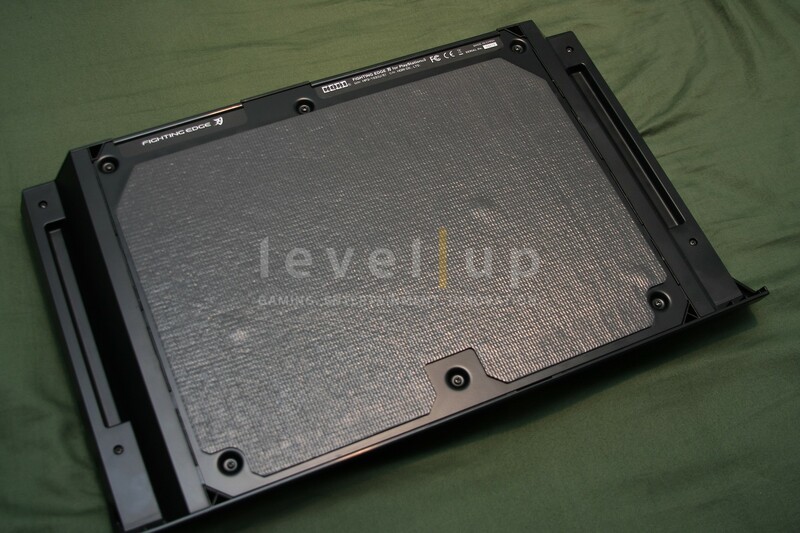 The larger pad provides a more even and uniform surface for the stick to sit on. Side Handles: The side handles of the HRAP VX and SCV stick were just ok in my opinion. 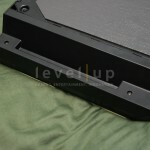 HORI improves side handle design on the Fighting Edge by adding a groove channel for your fingers to grab onto. The groove channel is not very deep and may prove problematic for people with long nails. 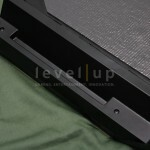 The handles are not the most comfortable but they fulfill the basic need of lifting and grab-n-go. Angled Palm/Arm Rest: For those that like to play with sticks high on a table, the elongated rest will provide you with a place to rest your palm and/or arm. 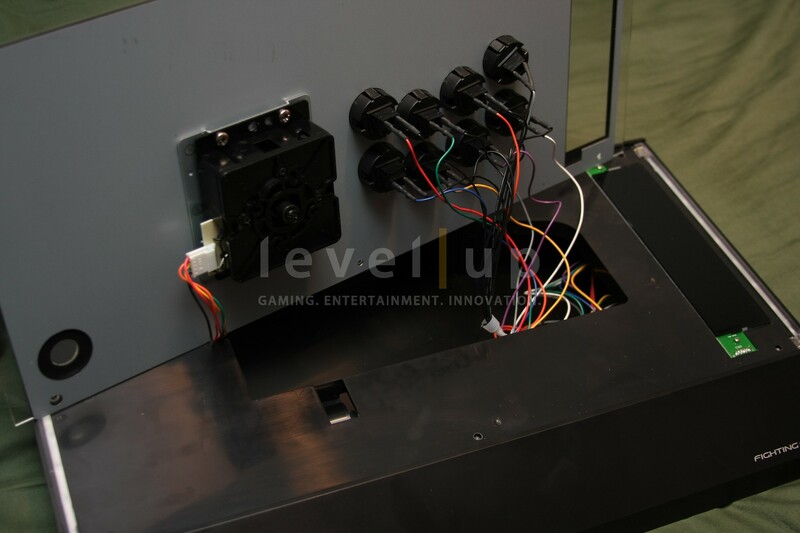 Traditional Cabinet Button Layout: The Fighting Edge uses the NOIR cabinet button layout. The curvature of the buttons match the natural curve of the fingers on the human hand. 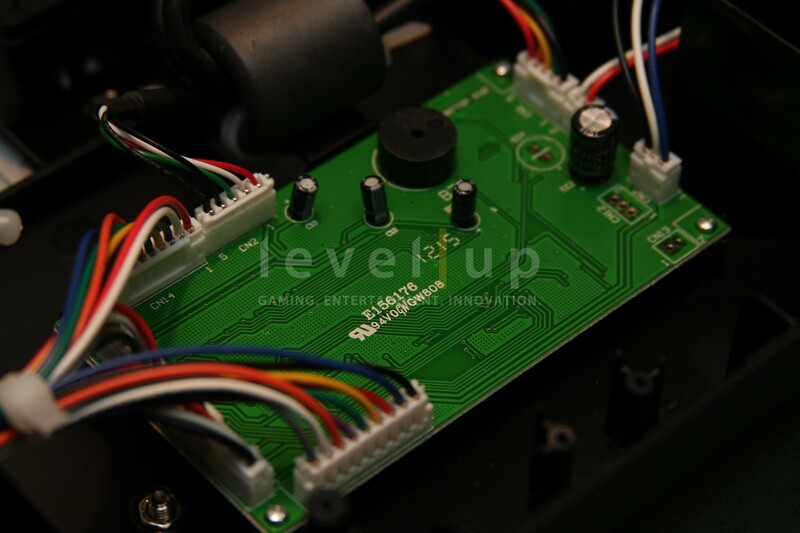 Increased Joystick Spacing: HORI answers the calls of their physically bigger audience by increasing the space between the joystick and buttons. The spacing in between is now 3.35 inches (85mm). Giant hand players rejoice! 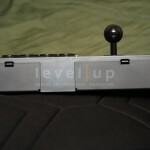 Warning: Neither Level|Up or myself take responsibility for what you do to your FIghting Edge stick. The following information is only for educational purposes to fulfill the curious minds reading this review. Again, we DO NOT take any responsibility if you damage your stick. 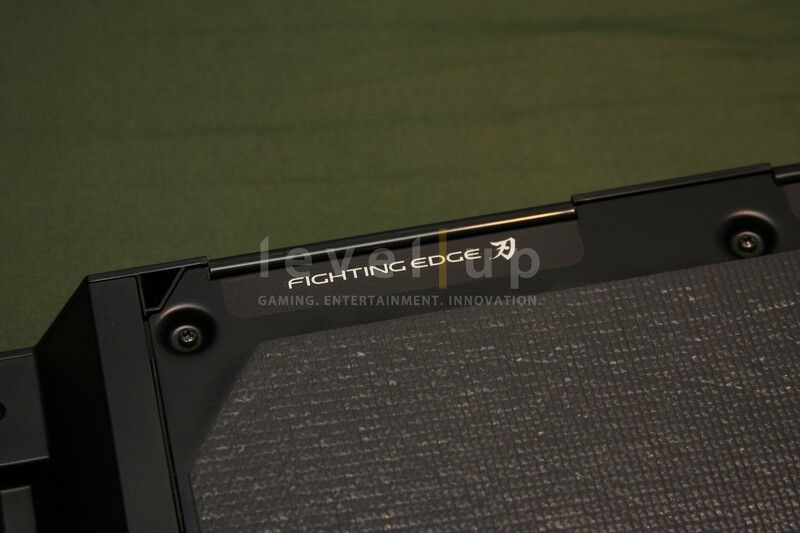 Warranty Sticker: This version of the Fighting Edge did not come with warranty stickers. 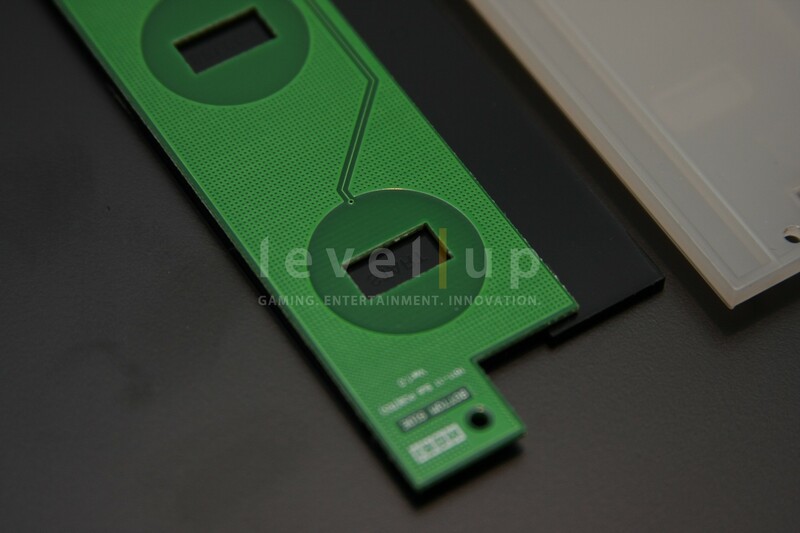 HORI informs me that there will be one or two stickers in place on the public release. 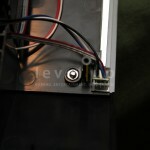 Removing the Top Panel: The top panel is easily removed by unscrewing the six 4mm bolts. 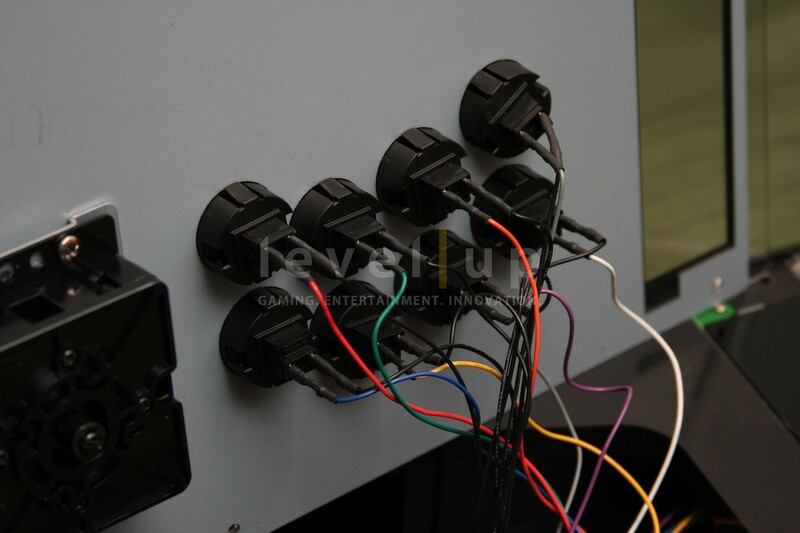 Once the panel is removed, you can unplug the cable assemblies from the Hayabusa and Kuro buttons. Removing the Bottom Panel: The bottom panel is just as easy to remove by unscrewing six phillips screws. 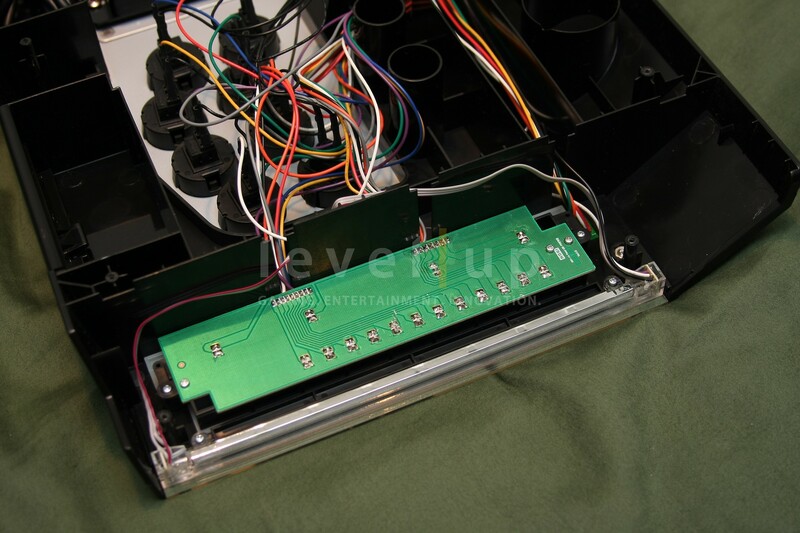 Removing this panel gives you total access to the innards of the Fighting Edge. 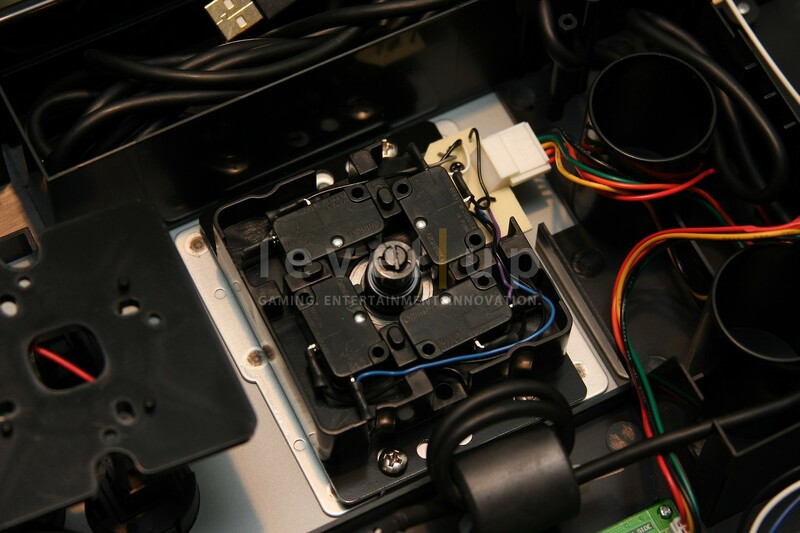 Removing the Side Covers: Once the bottom panel is removed, the side covers can be removed by unscrewing two phillips screws on each of the covers. 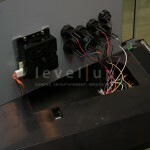 Removing these covers will give you access to the LED lights and Touch Panel. 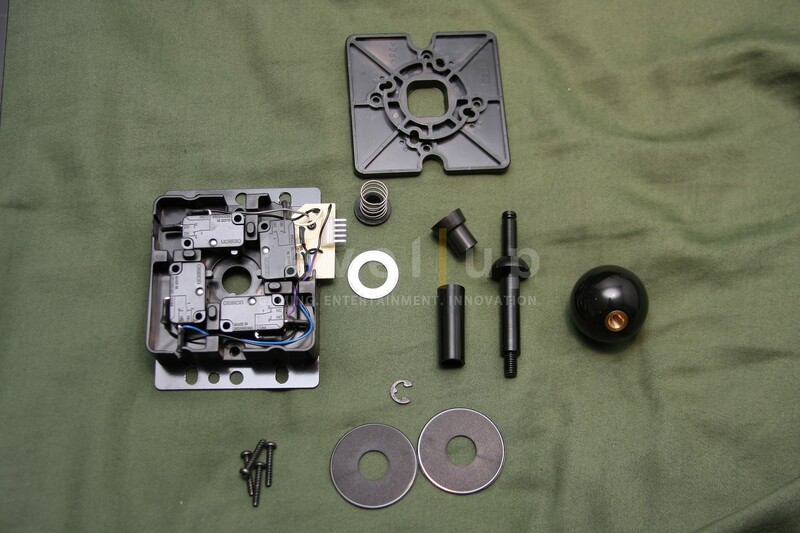 Inside the Hayabusa Joystick: For your enjoyment, I completely took apart the Hayabusa joystick. 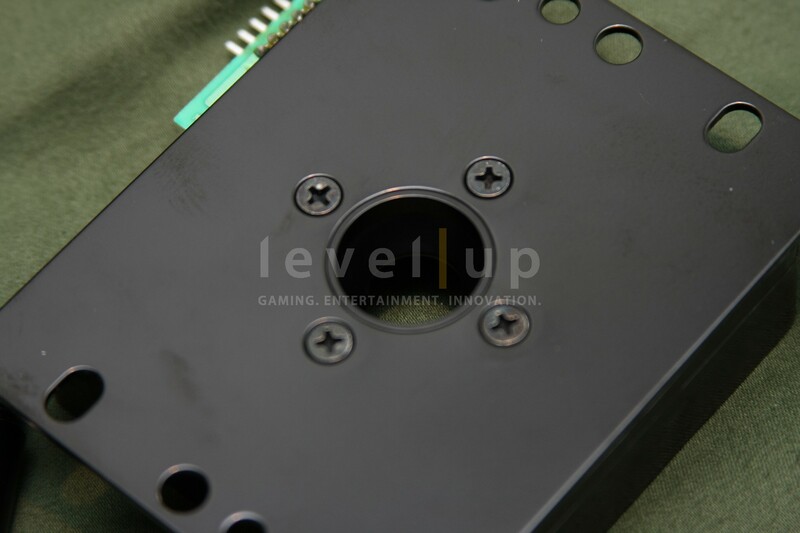 The mounting plate on the joystick is simply a larger version of the Sanwa JLF-P-1. 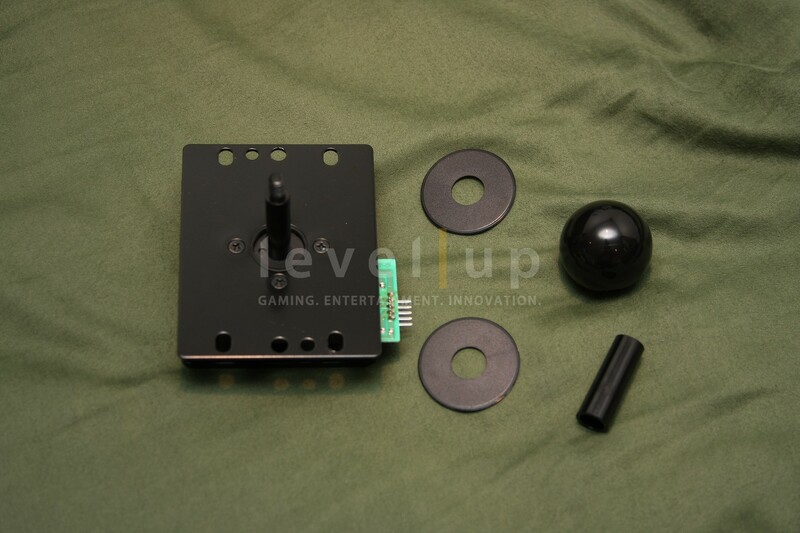 As you can see in the pictures, the Hayabusa has the traditional parts of a Japanese style joystick. 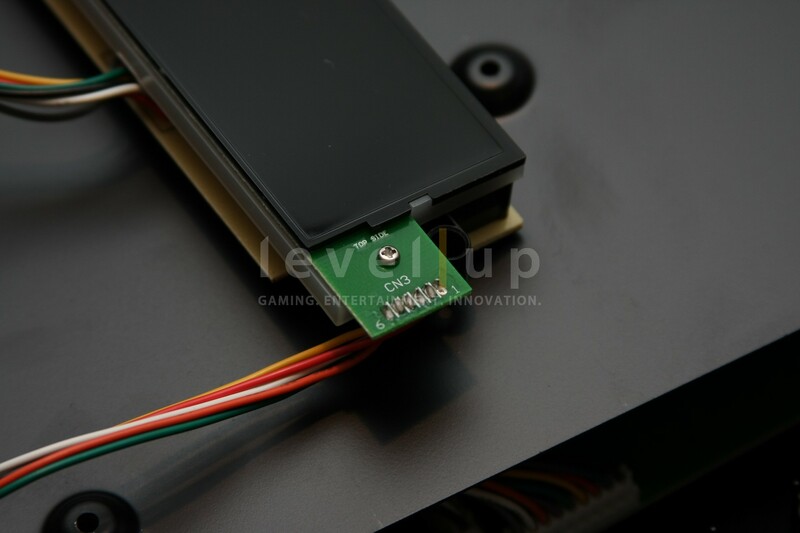 However, there are a couple of differences.The cam has grooves in it. 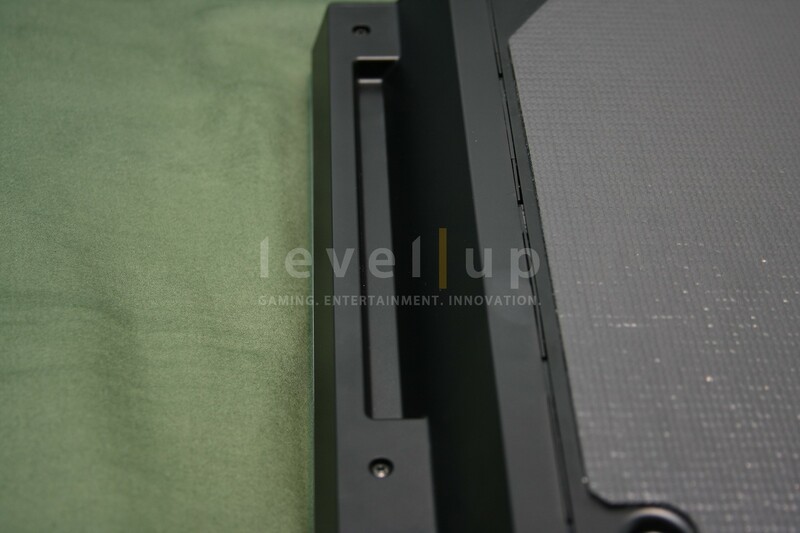 These grooves cut down the amount of surface area that touches the joystick housing, cutting down the amount of friction that is generated during movement.The other difference is of course the V Cut Housing. It’s not easily seen in the pictures but it is there. 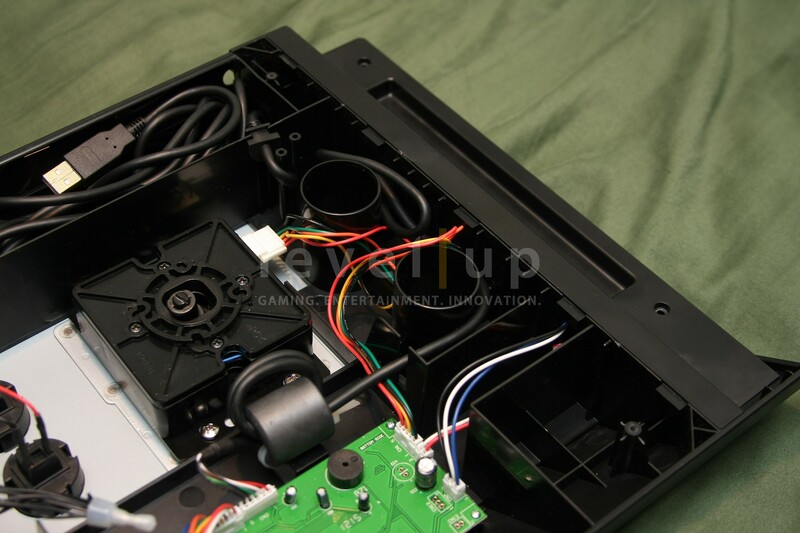 Inside the Kuro Buttons: The Kuro buttons consist of the housing, plunger, and microswitch. 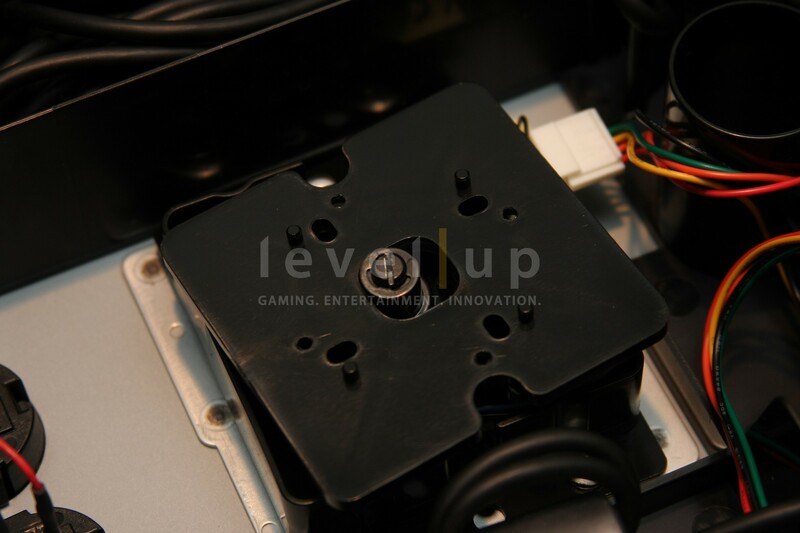 Mounting Bracket: The steel panel has a mounting bracket that the Hayabusa joystick screws into. 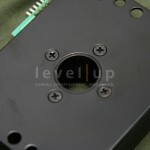 The mounting holes on the Hayabusa mounting plate match those found on the standard Sanwa JLF-P-1 mounting plate. 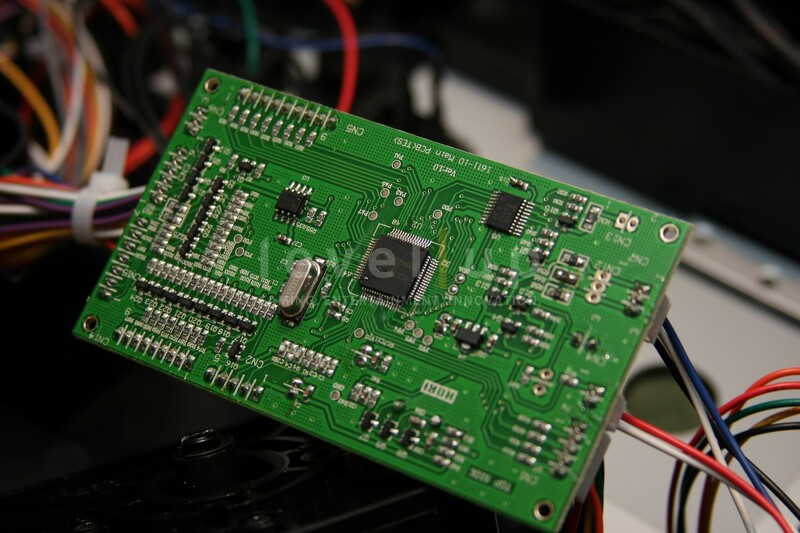 Main Circuit Board: The main circuit board is the brain of the Fighting Edge. Everything connects to it. 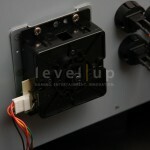 It also contains the speaker that beeps when engaging the different modes. 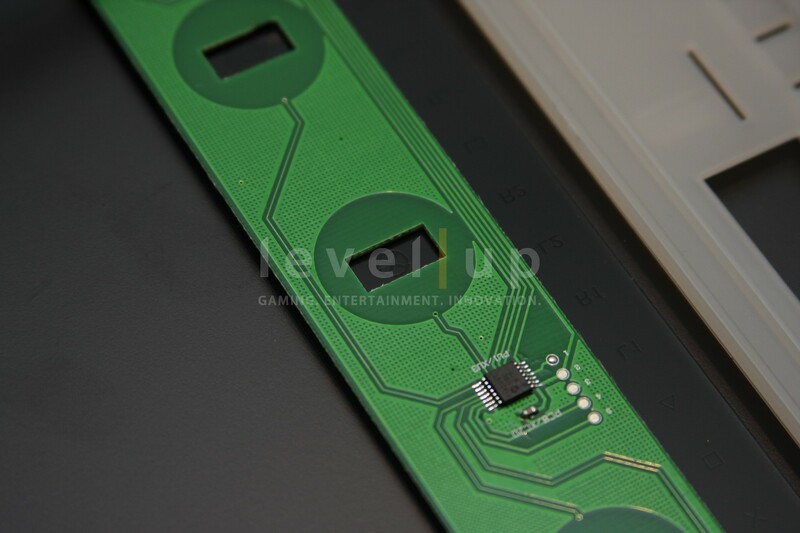 Home Button PCB: Provides the circuitry for the Home Button. 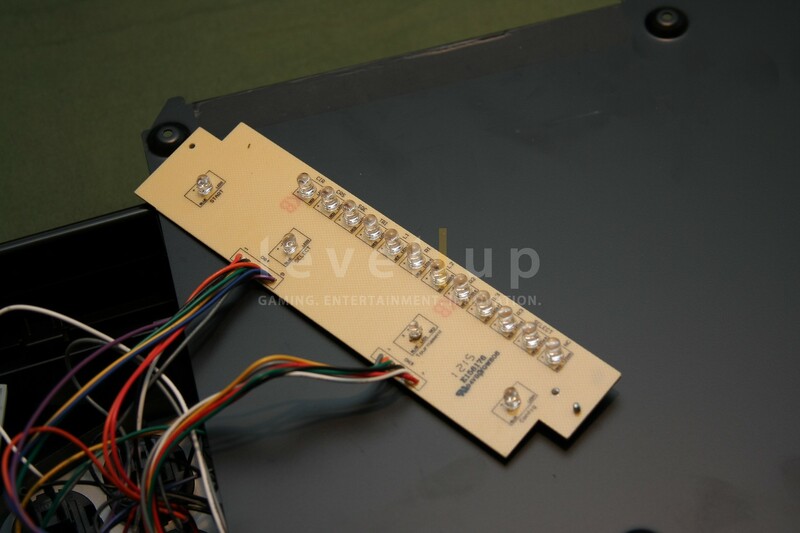 Touch Panel PCB: This has the four touch sensors for Start, Select, Tournament Mode, and Configuration Mode.Touch Panel LED PCB: This contains all of the LEDs that light up the touch panel. 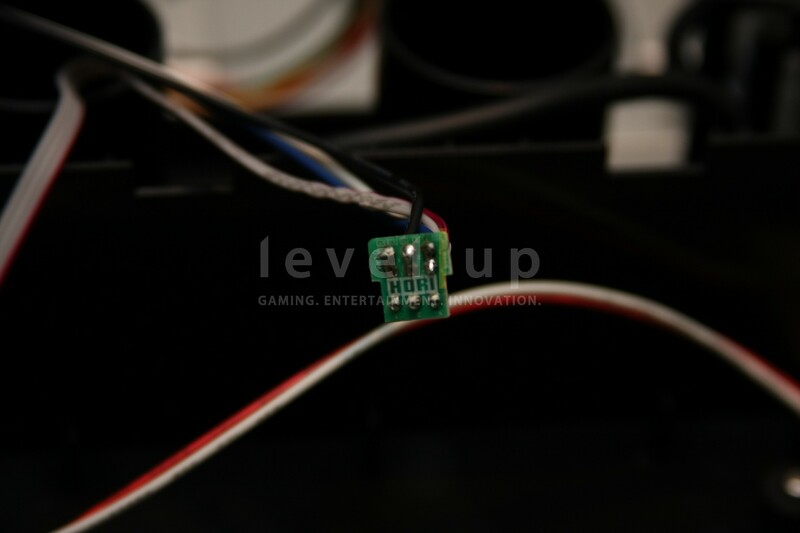 Button Connectors: Standard .110 quick disconnects that have been heatshrinked for a stylized look. 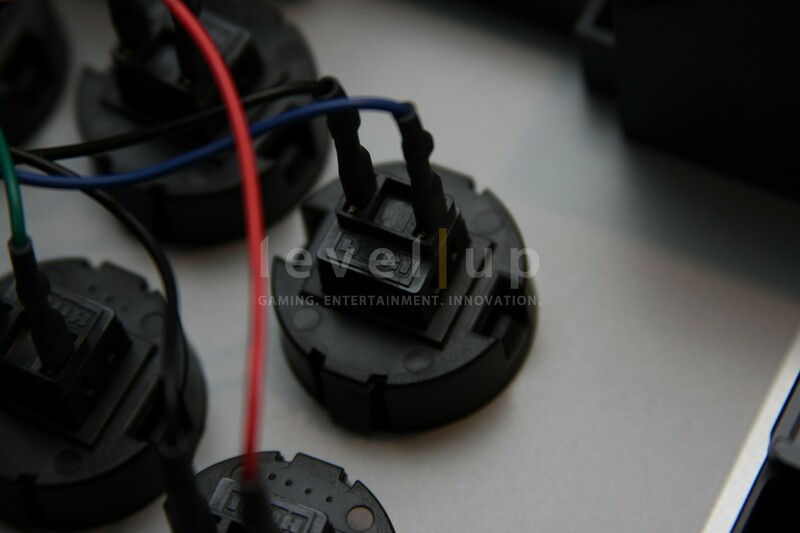 Common Ground: HORI distributes common ground to the buttons using an old traditional method, the good ole wire nut! 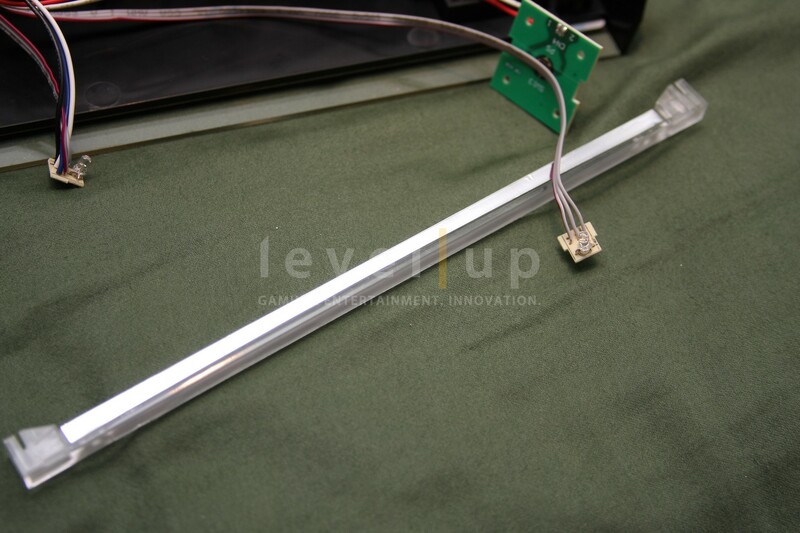 LED Lights: At first look, the two side LED lights look like LED color tubes. 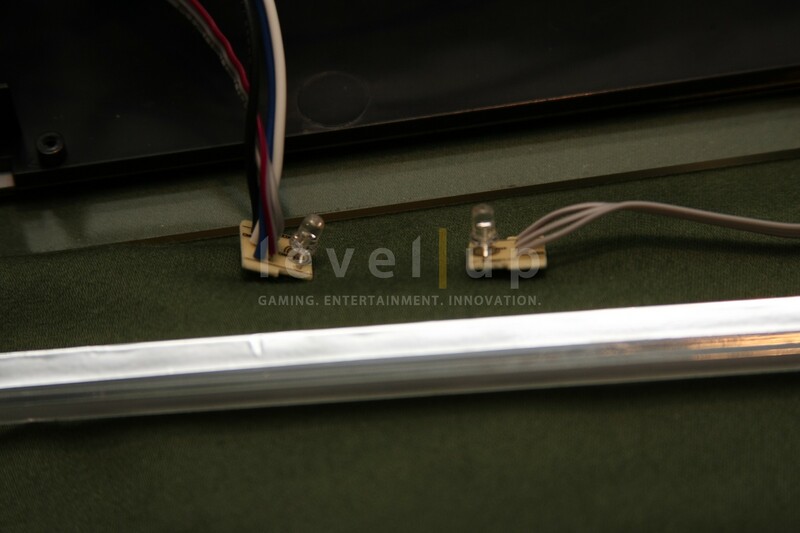 Upon disassembly, you can see that the lights are simply two small PCBs with dual color LEDs contained in a plastic bar with reflective tape. Changing the Art: While the Fighting Edge does not have an art piece, the stock sheet with the Yaiba logo can easily be replaced with any printed artwork. 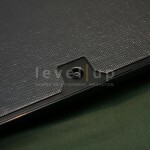 Bottom Panel Access: Removing the bottom panel gives you full access to the insides. Simply remove the six phillips screws. 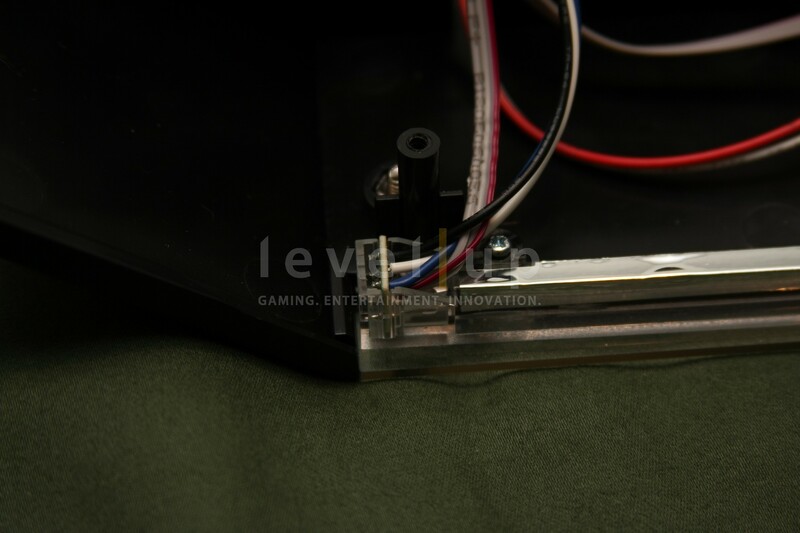 Lack of Mounting Space: The compact and durable design of the Fighting Edge leaves no room to mount additional circuit boards. 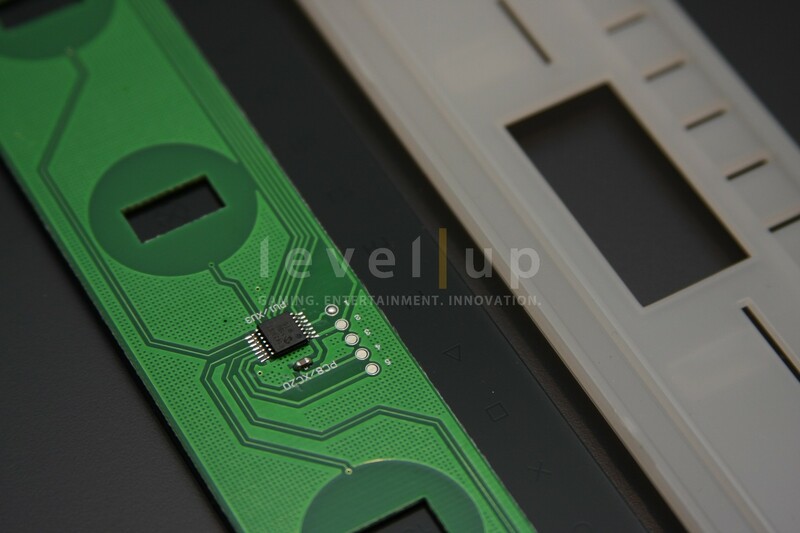 The only room where you can possibly place another PCB is on top of the main PCB. Changing the Buttons: Changing out the buttons is as easy as popping the existing one outs and putting the new ones in. 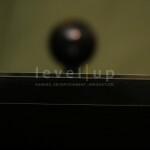 Changing the Joystick: Why change it? The Hayabusa is so good! 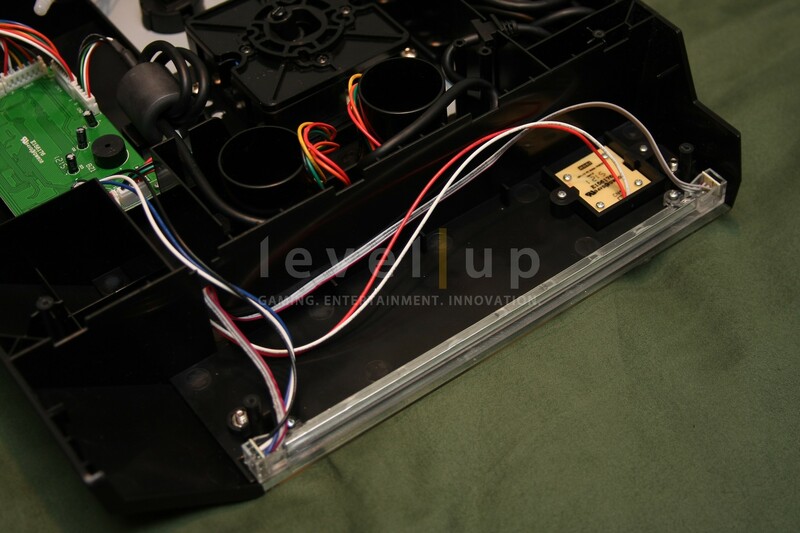 But if you really want change it, you can easily change it out with a Sanwa JLF-TP-8YT. 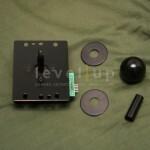 If you prefer a Seimitsu joystick, use one that has the MS or RE mounting plate. 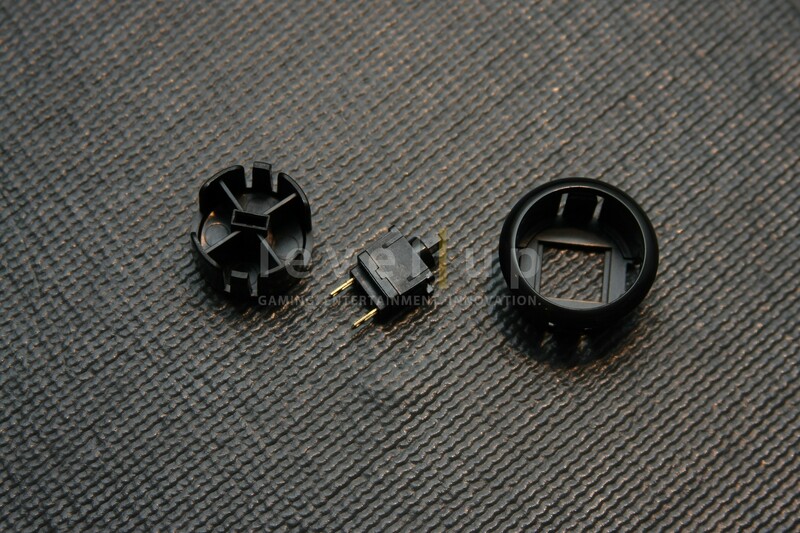 The dust covers and ball top are interchangeable with Sanwa and Seimitsu parts. 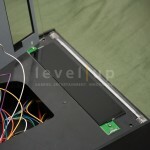 Changing the LEDs: The LEDs are replaceable and can be customized to your liking. 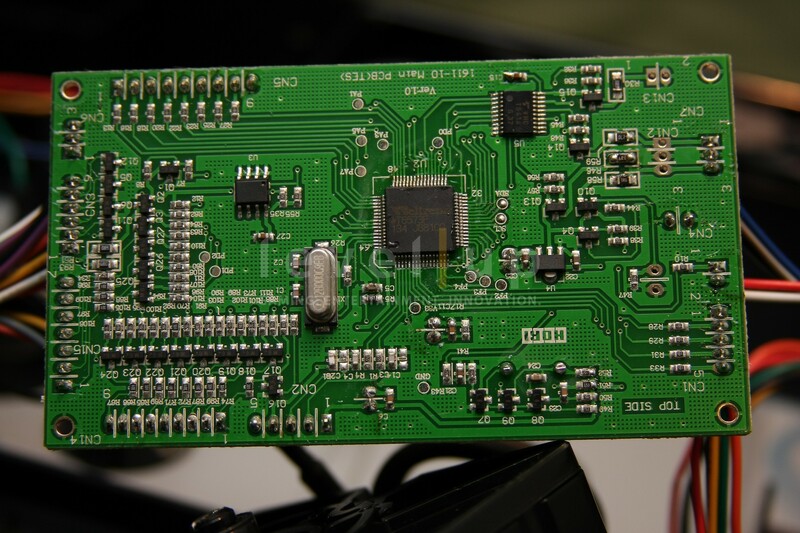 You can easily desolder the stock LEDs and solder in new ones. Why stick with the stock blue/red and be like everyone else when you can customize with your own colors? 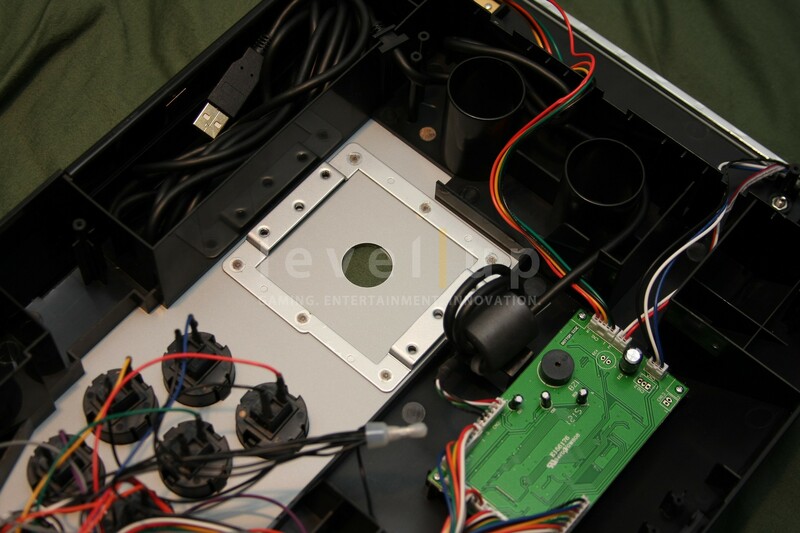 Dual-Modding: Since this is a prototype, I am unable elaborate on dual modding since I cannot tamper with the electronics of the Fighting Edge. Once I get the final version in, I will follow up this review with a video series that will breakdown the stick from A to Z and discuss the dual modding capabilities. For the time being, I can share my observations.From initial observations, my first concern is with the Touch Panel. 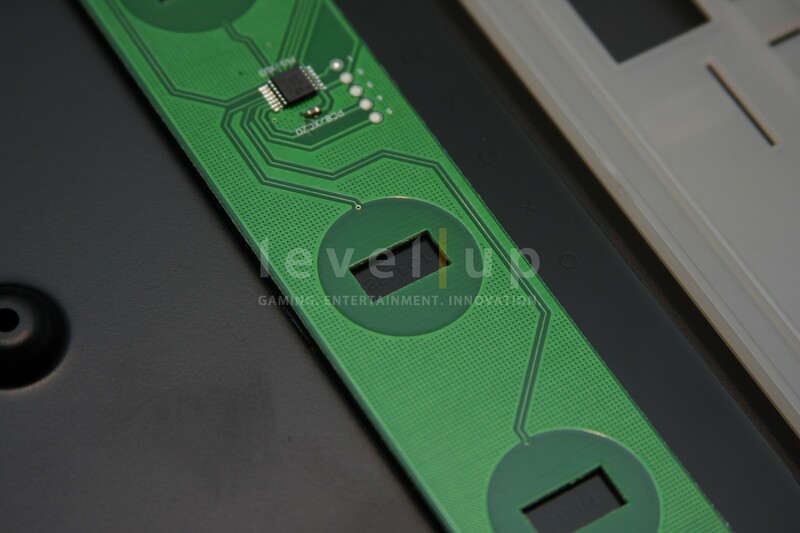 If the functionality/memory of the touch panel is centralized and contained on its own PCB, I believe dual modding is possible. 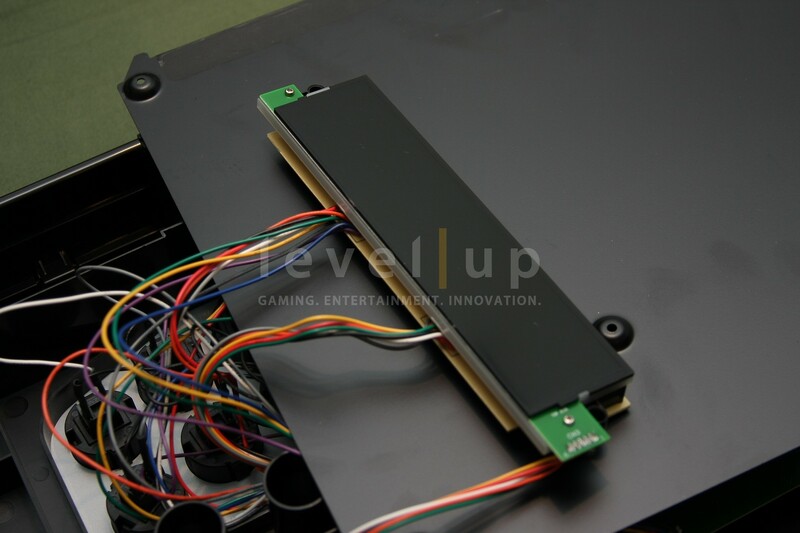 If the Touch Panel relies on the main PCB then there could be complications with dual modding.Controlling the LEDs is my next concern. 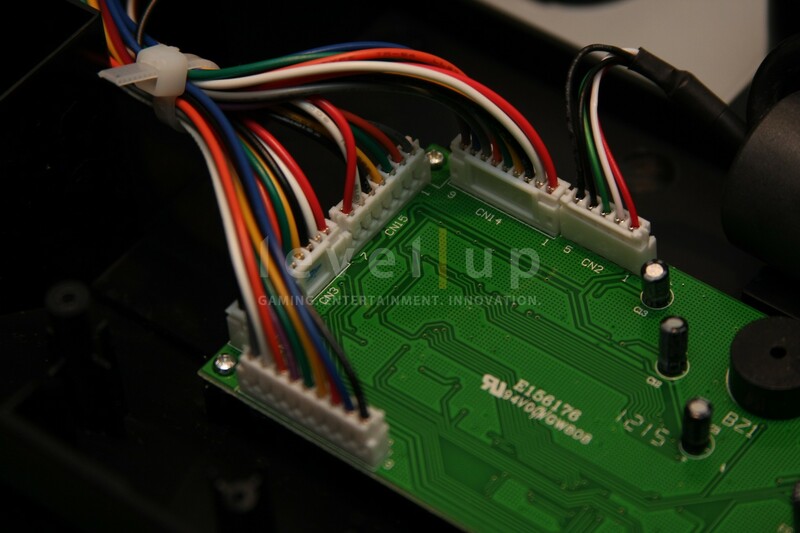 The LEDs are connected to the main PCB and most likely relies on the logic chip found on the main PCB. Getting these to work in a dual modded setup might prove to be challenging. 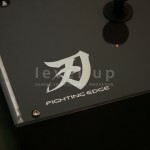 HORI has once again impressed me with the release of the Fighting Edge. 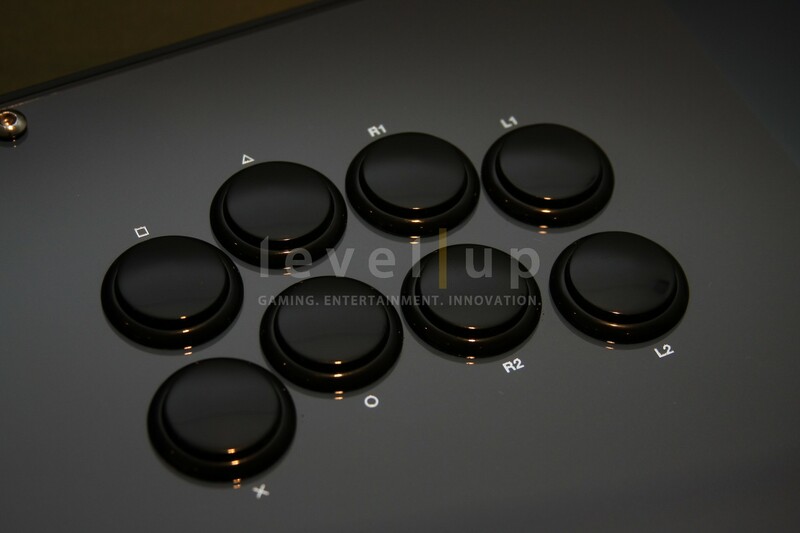 I was impressed by the press release photos and instantly fell in love with it when I first tested it at HORI headquarters.What really sets this stick apart from the others is the minimalistic design. 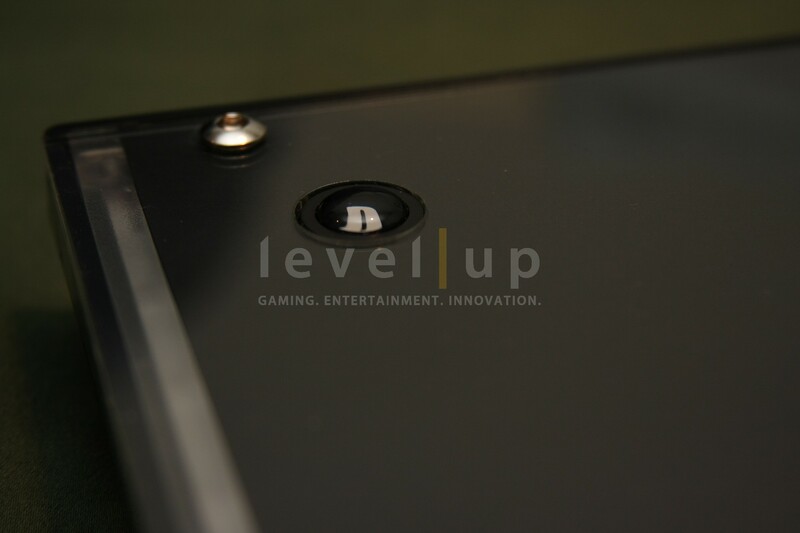 With the exception of the buttons and joystick, everything is angled, flat, and sharp. 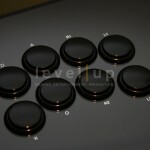 The new Kuro buttons leave much to be desired but the new Hayabusa stick really impresses me. 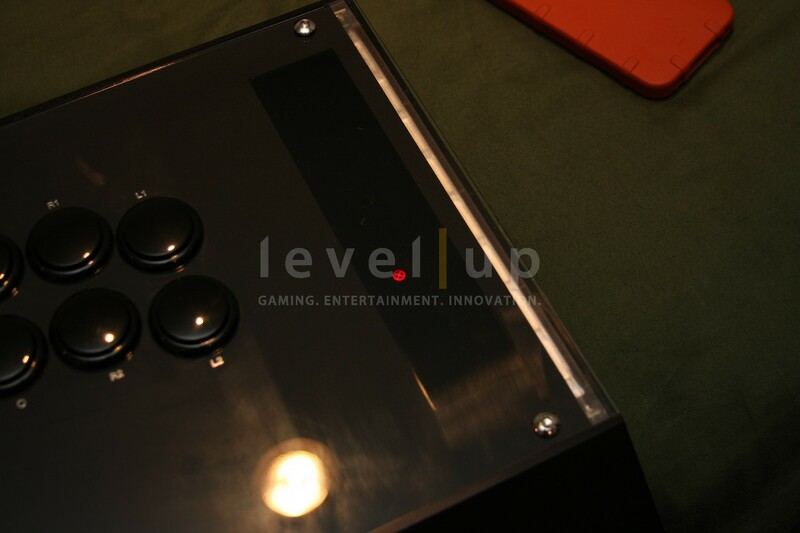 If HORI sells the Hayabusa on its own in the future, I will definitely be purchasing some.The new Touch Panel and LED lights are nice features that round out the Fighting Edge. These are features that bring the innovation to production sticks. If HORI didn’t do it, someone else eventually will. 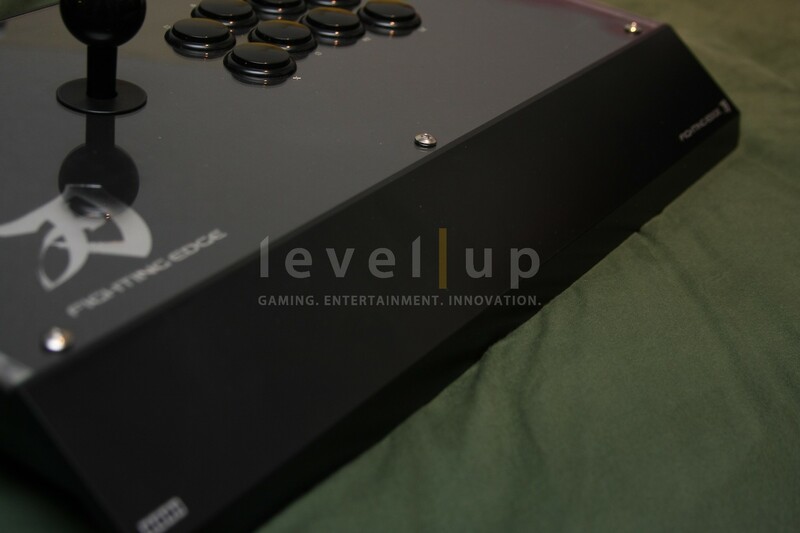 I applaud HORI for taking the initiative and showing the competition that sticks do not stop with just buttons, joysticks, and cases.With the market already saturated with sticks of many varieties, it’s hard to release a product that outdoes the competition. 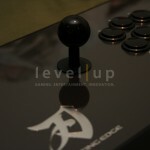 When a new stick is released, it is often not really new but simply a rehash. Original AND innovative products that appeal to the masses are often hard to produce. This is why companies release ten different versions of the same design. HORI themselves are guilty of this but that was in the past when their competition was next to none.I am happy that HORI is changing their business strategy by releasing new designs periodically to keep the market fresh and the competition stiff. I look forward to seeing HORI’s next design. 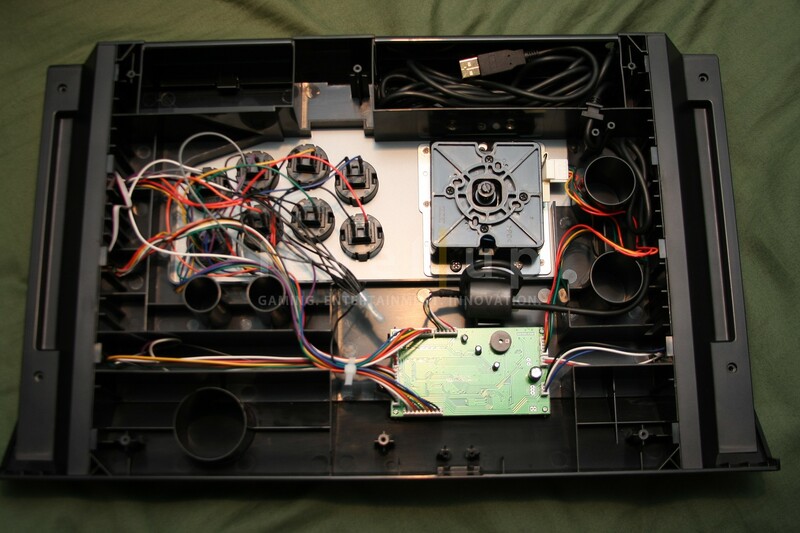 can you replace the buttons for sanwa or no? Yes. 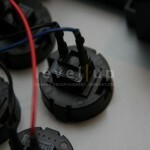 As mentioned in the review, you just need to pop out the stock ones and put in the Sanwa buttons. I’m glad you enjoyed the read. Look forward to more in the future. Do I need a new plexi glass to replace the artwork or is the Plexi glass on it now replaceable? I meant to say reusable. Yes, it is reusable. 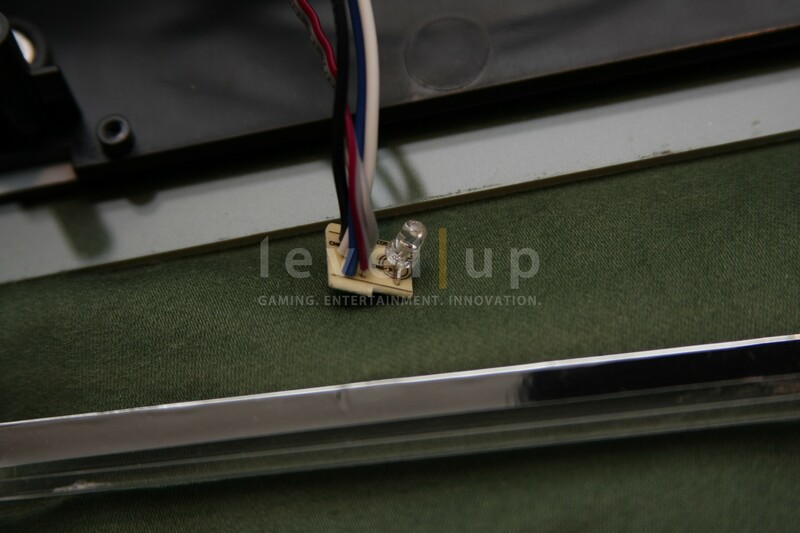 The plexi panel is a separate piece. 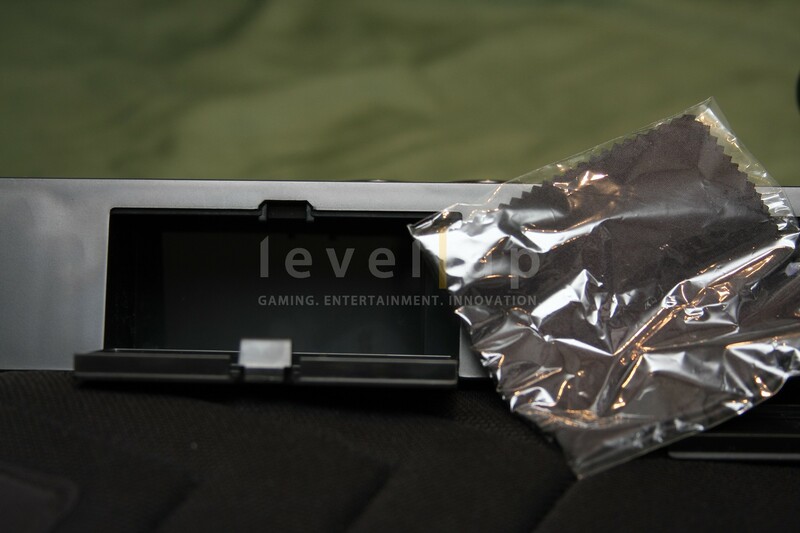 The thick paper is just sandwiched between the plexi and steel panel. Between you and me, we end up just getting both anyway. lol. Thanks for the review. Honest and precise. Good stuff. Would you say that someone who missed out on a VLX would be happy with this? or two different beasts. I may be a little biased because I have a VLX myself but yes, if you don’t have a VLX, you will be happy with the Fighting Edge. If it helps, when I first demoed it, I practically said “this will be my new primary stick.” The VLX is nice and all, but it’s really huge. Not exactly portable and space-saving friendly. Well i have the V3SA and love it. I sadly missed the VLX train and I dont exactly feel like paying a made premium for a diamond (If only they sold it stateside). Might just pick this one up. i want to buy but it not having the turbo an analog functions would that effect anything as far as gameplay . i forgot to ask what kind of bottons do u recommend replacing the koros with an also will i be able to add rubber feet on the bottom thx. 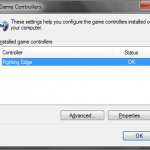 A stick such as the Fighting Edge typically is not used for games that require analog stick functionality. So having that function is practically useless. As far as Turbo goes, not many people use it in a tournament. It’s also banned in tournament play. 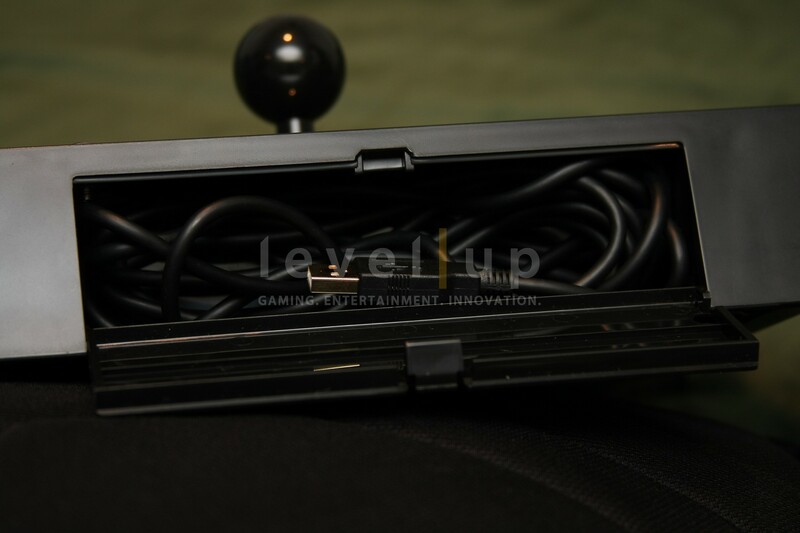 If you intend on using the stick to play shoot-em ups, then I can see where you may miss the turbo function. Other than that, these missing features do not affect gameplay at all. 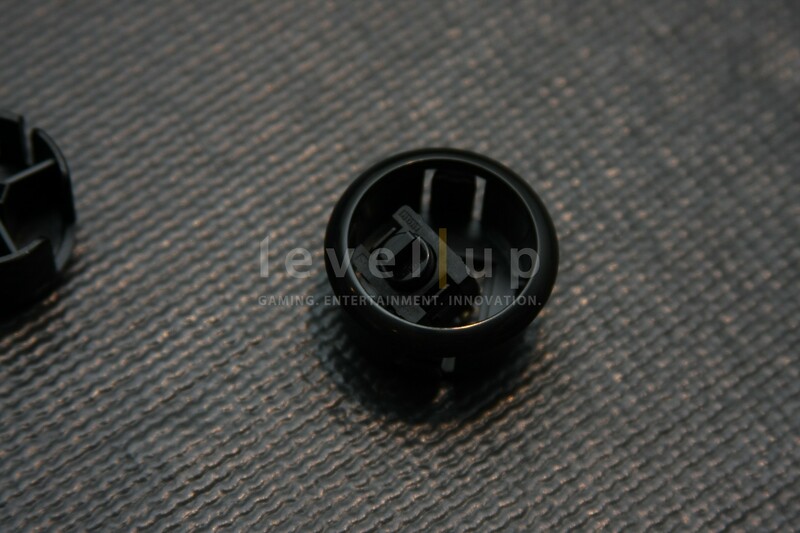 In terms of the Kuro buttons, you can replace them with either Sanwa or Seimitsu buttons. 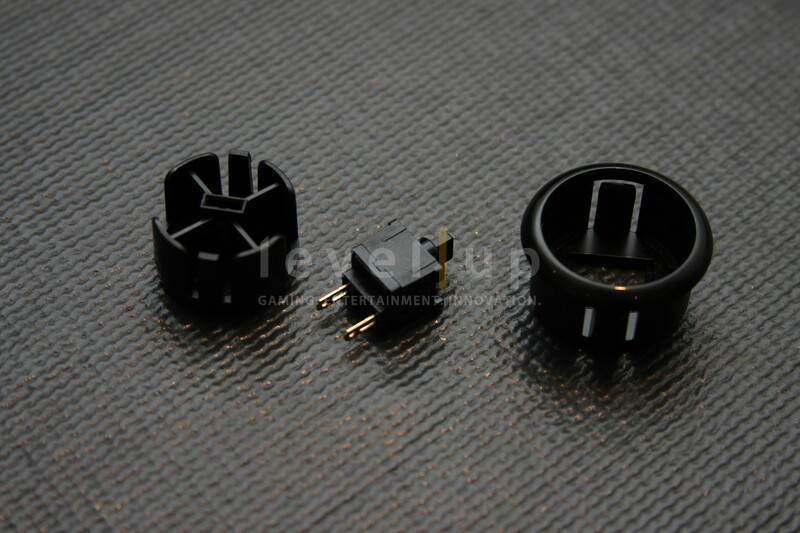 The Kuro buttons are more similar to Seimitsu buttons in terms of feel and functionality. 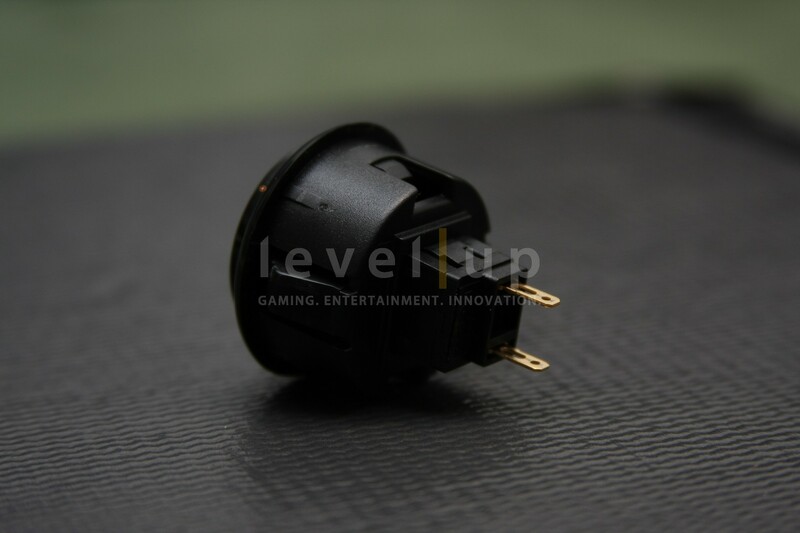 If you need something lighter, I would suggest the Sanwa buttons. Great review. 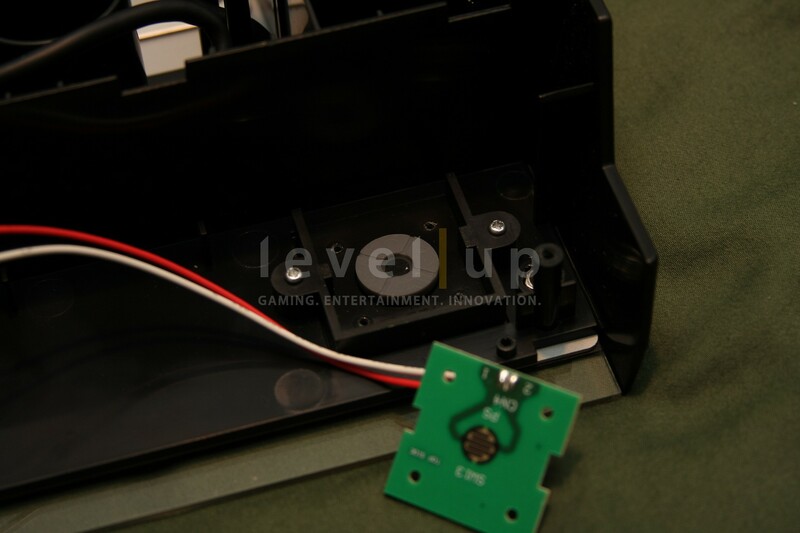 Just one question, do you know if the xbox 360 version includes a 2.5mm jack for Live communication? Thank you ShinJN. Yup. 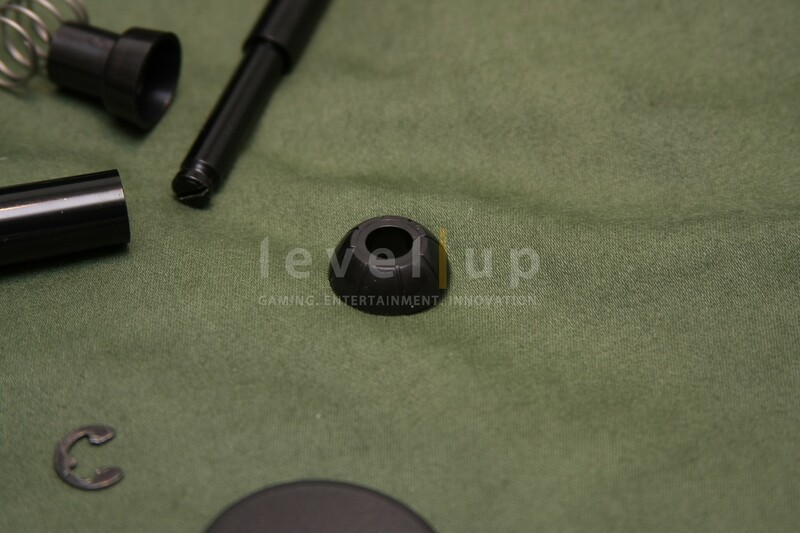 The Xbox version will have the 2.5mm audio jack for headsets. 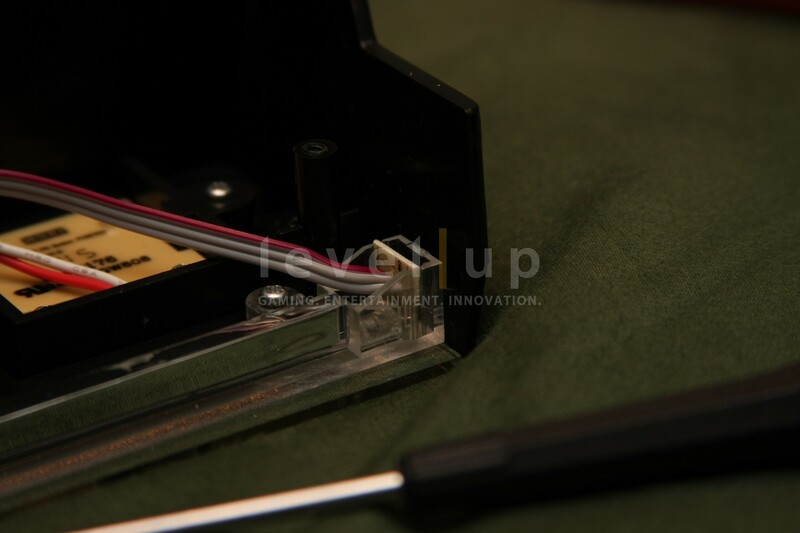 The jack is located on the vertical flat portion of the palm/arm rest about 2-3 inches to the left from the center. 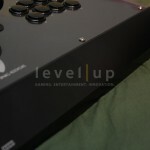 this stick definitely is looking to be my next stick buy, i love my V3 SA, but after reading this review, i am even more intrigued to try the new hori stick and buttons, mostly the stick. thanks for the great review man! 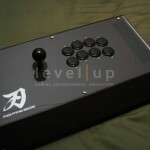 Will u guys do a comparison test between this and the other upcoming sticks? 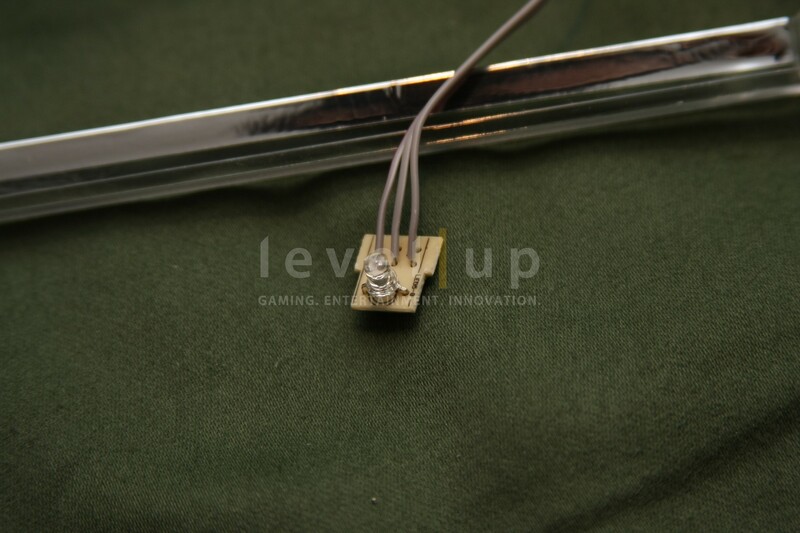 hi thx for the quick reply i just thought of a couple more questions can i add rubber feet on the bottom and also if u bought this stick would u change the stick&buttons if so what kind would u switch to thx. 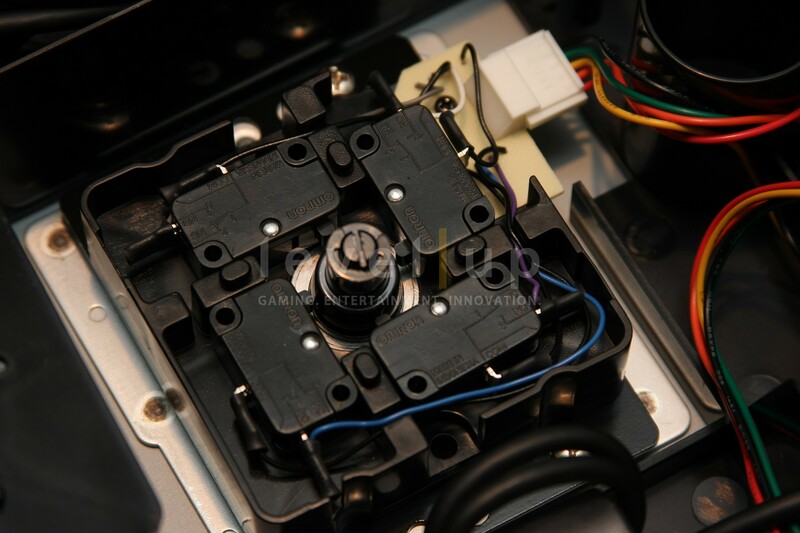 Does the Hayabusa joystick use a circle gate? I started reading up on several articles, and I believe one said it used a square gate, which is a deal breaker for me. 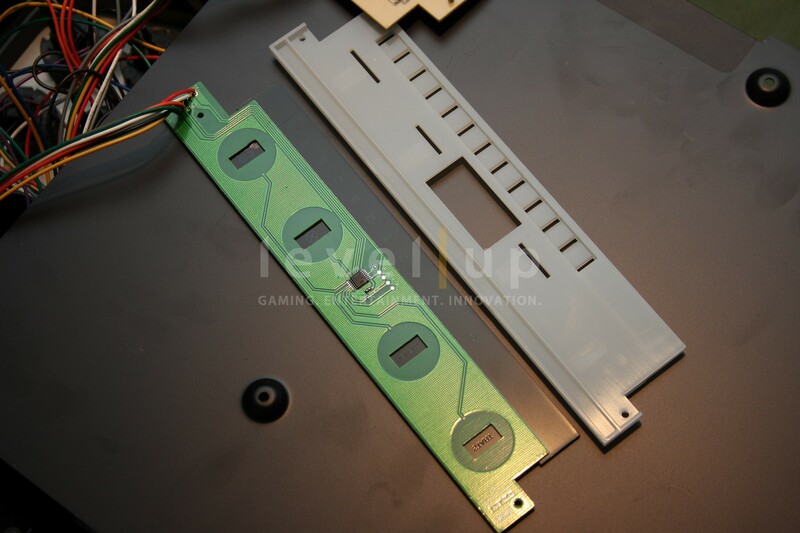 I’ve already poured 70 and 150 dollars into my first two arcade sticks, I need to make sure this is worth another 200 and if I need to replace the gate, I don’t see a point. I really like the configuration mode. 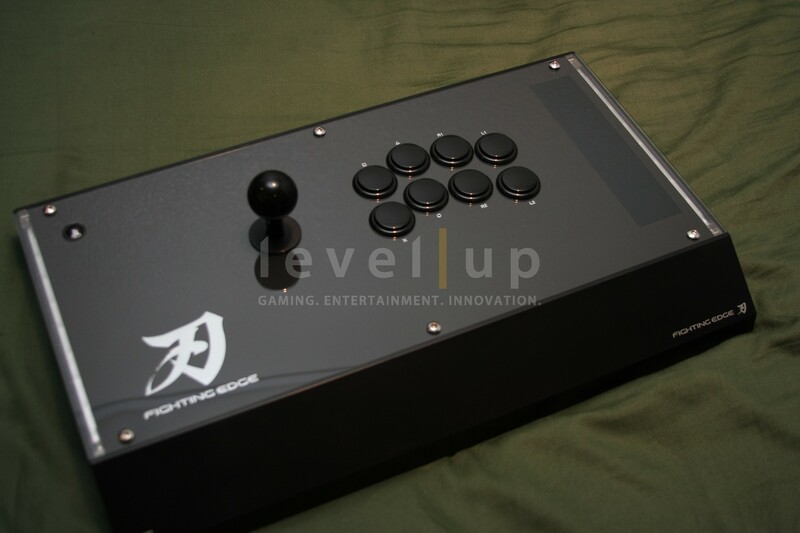 Thing is, if this is supposed to be the best tournament arcade stick of all time, why isn’t it dual modded out of the box? I know it’s probably a legal issue, but I don’t think a big company can ever make a perfect tournament arcade stick without that feature. Personally, I play Xbox, but if I were going to take my stick to majors, it has to be PS3 compatible. IS this stick better than the V3 SA? 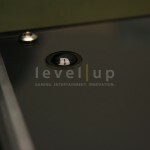 Would the “bat top” screw right in or I need a adapter?. And Is the square gate changeable to a octagonal gate. Thank you in advance and great review. Waiting of your reply before I pre order it. 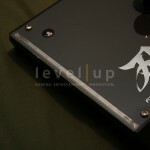 Do you know if there will be an option to switch the gate for the Hayabusa stick yet? Would prefer octo-gate instead of square. The HRAP V3 SA Kai or the Fighting Edge? 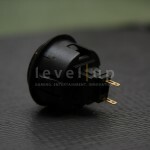 If you’re a traditionalist and prefer buttons for everything, the V3 would be the one to go for. It’s lighter and feels more hollow than the Fighting Edge. 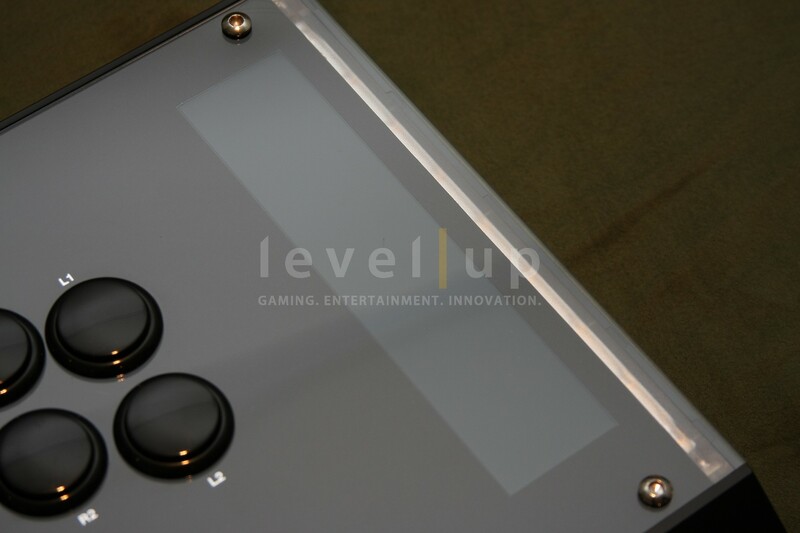 If you like a really minimalist look, touch panel, and the lights, go for the Fighting Edge. Thanks a zillion for your immediate answer. I hope that your answer covers lots of questions placed! 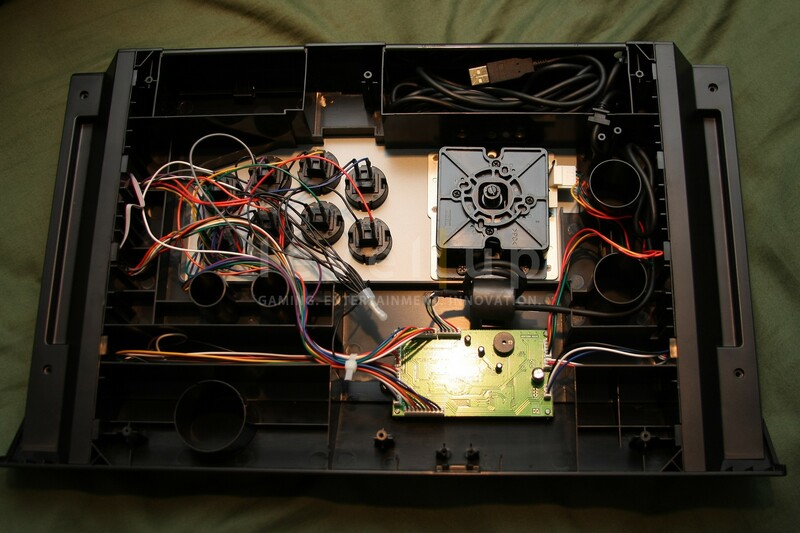 Nice review… did you finally mod this stick, the PS3 version, with a PCB to work both PS3 and XBOX360?